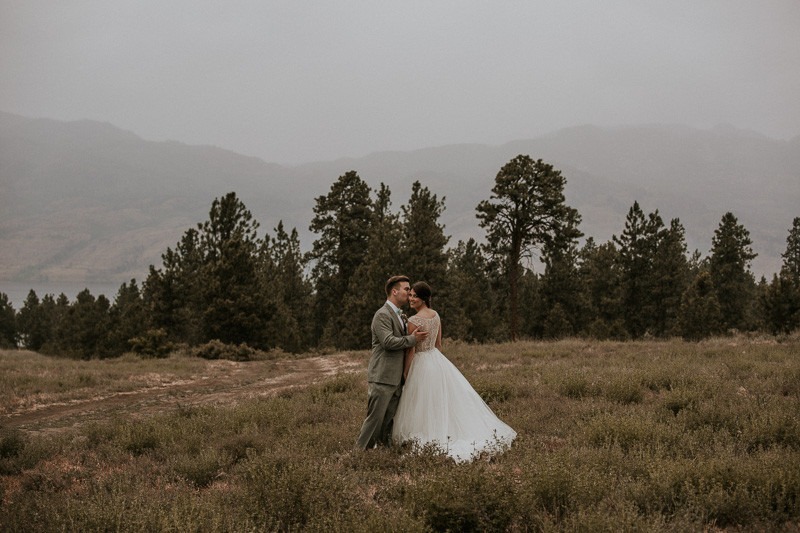 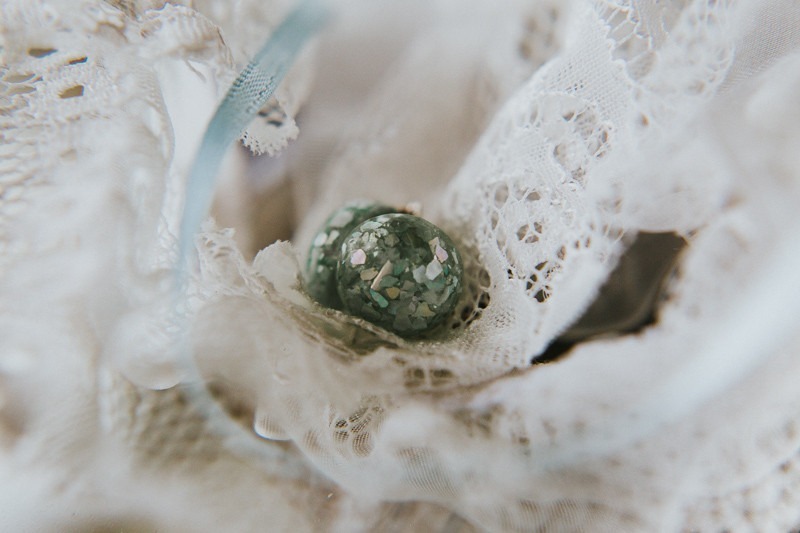 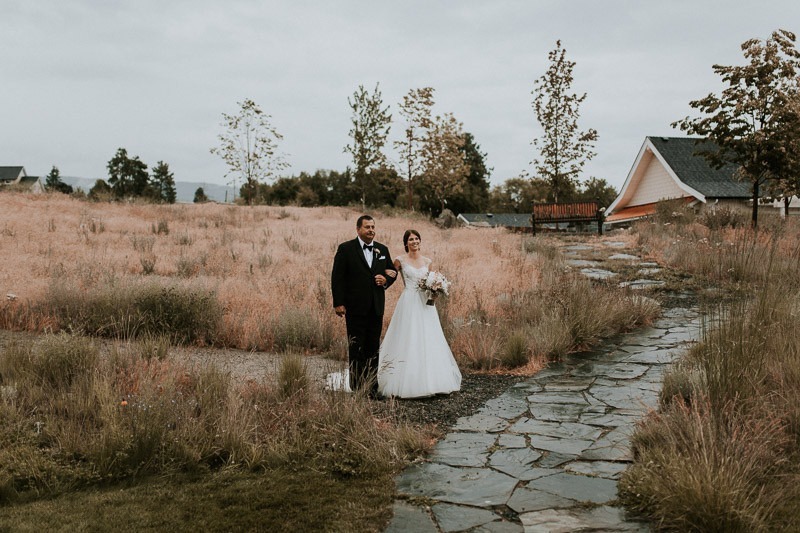 Every Sanctuary Gardens wedding is gorgeous, but Thomas & Kayla’s wedding at Sanctuary Gardens might have been the most breathtaking we have ever seen. 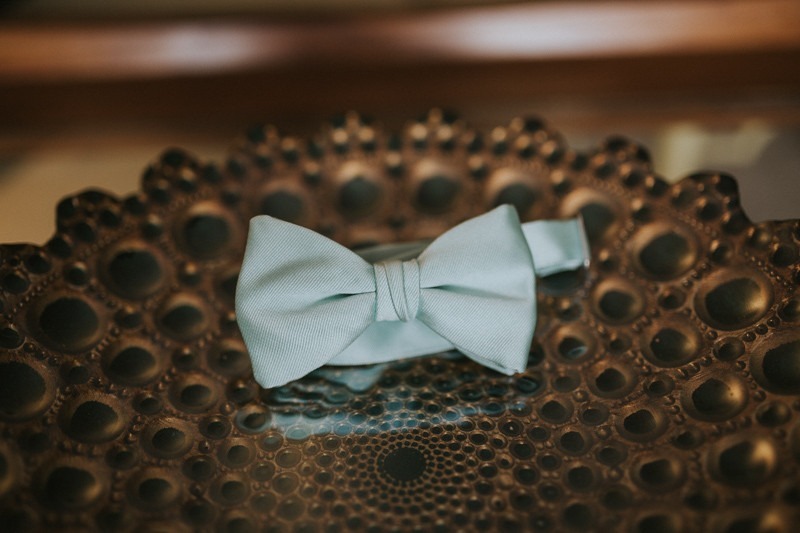 Perfectly suited for a couple with one of the cutest love stories we’ve ever heard! 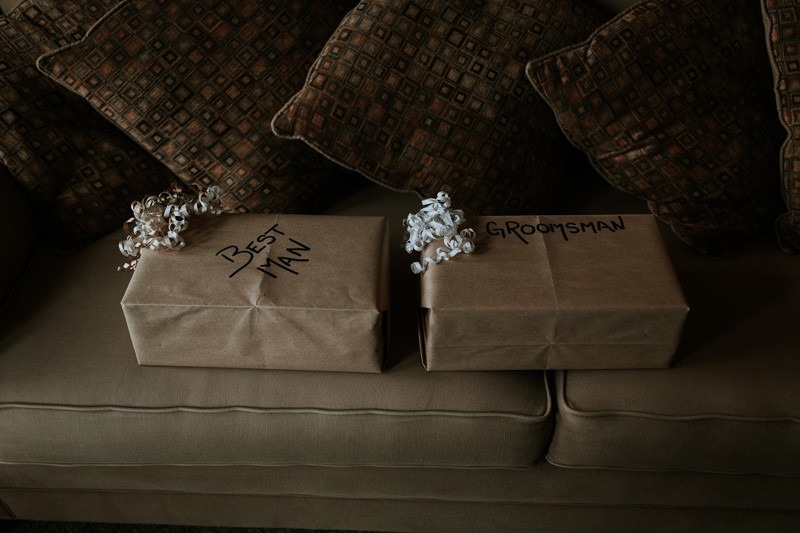 As you probably know, high school romances are normally short and sweet. 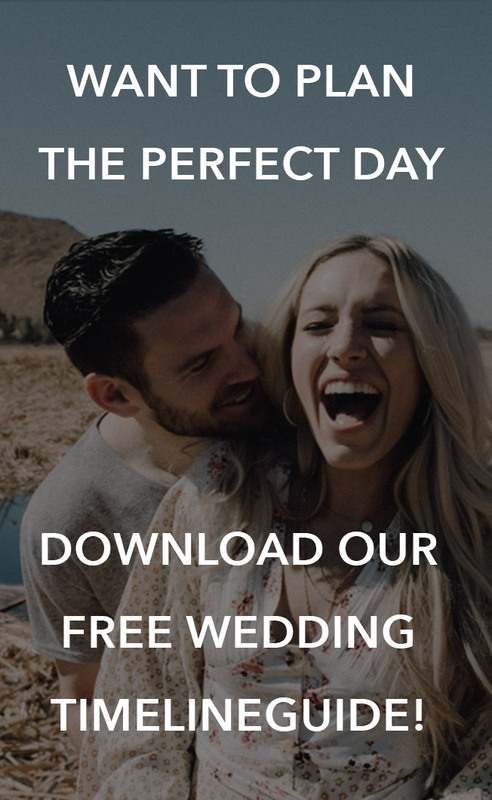 Begin with an intense spark of love, insert the emotional roller coaster of teenage dating, and conclude with the near inevitable breakup (Usually messy) 2-3 days later. 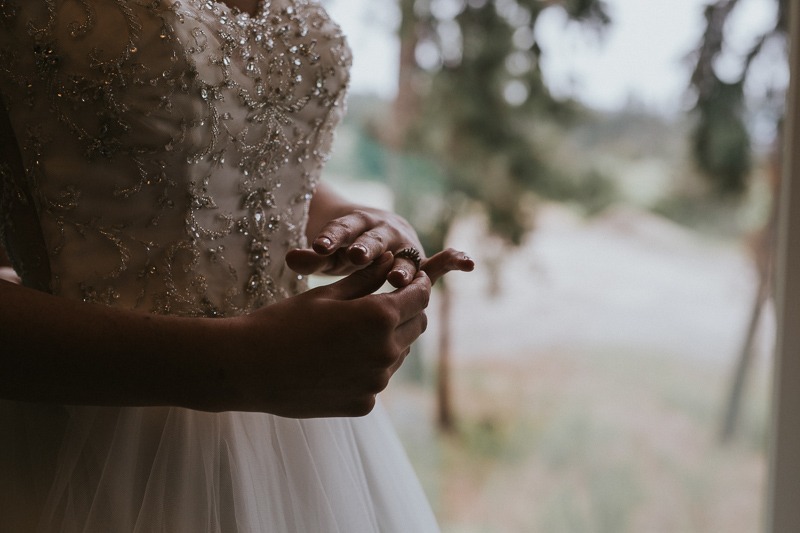 But every once and a while lightning strikes, and the spark sticks. 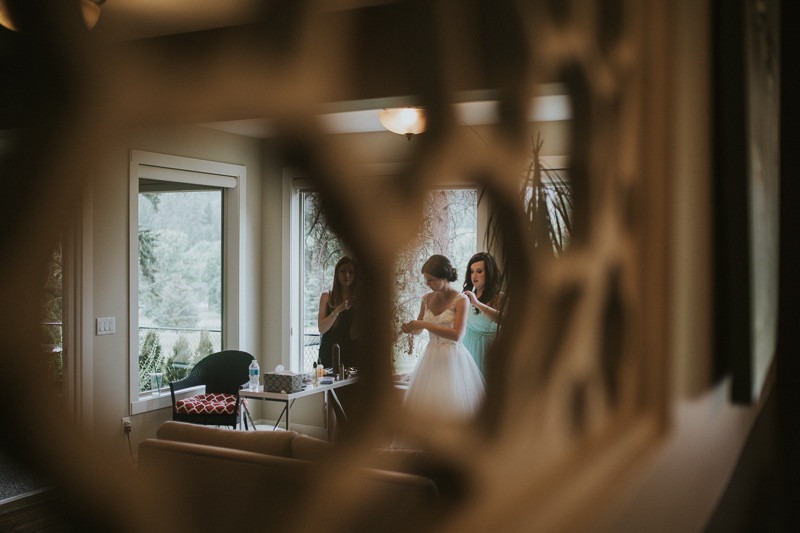 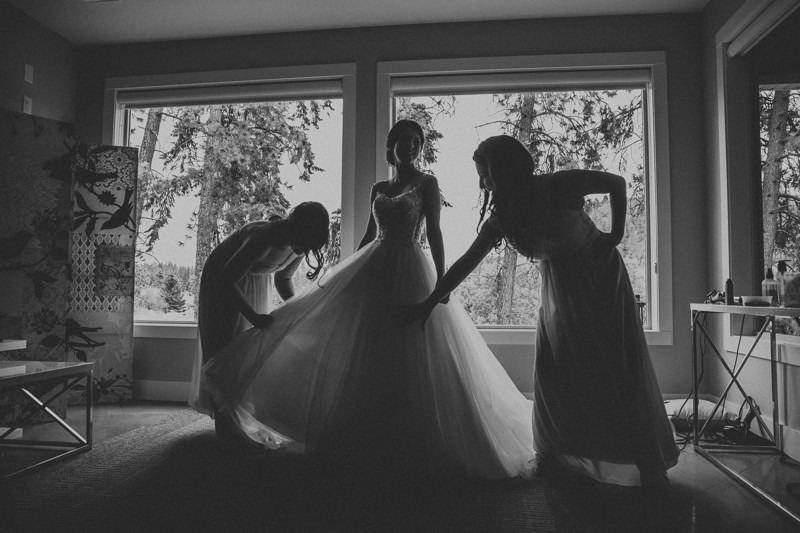 Such was the case for Kayla & Thomas – who met in grade 11 at a halloween party. 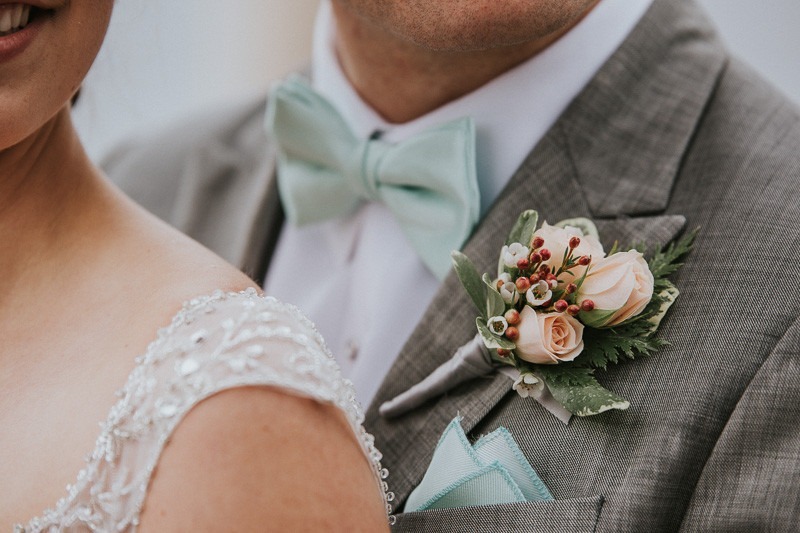 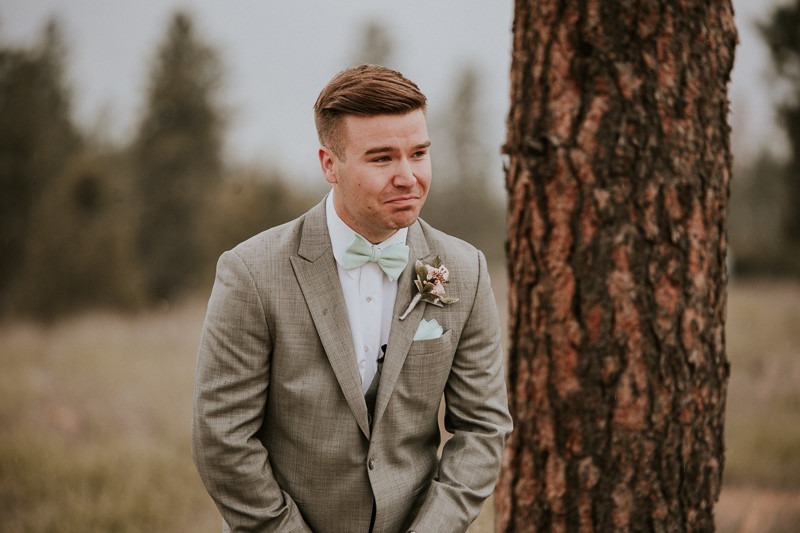 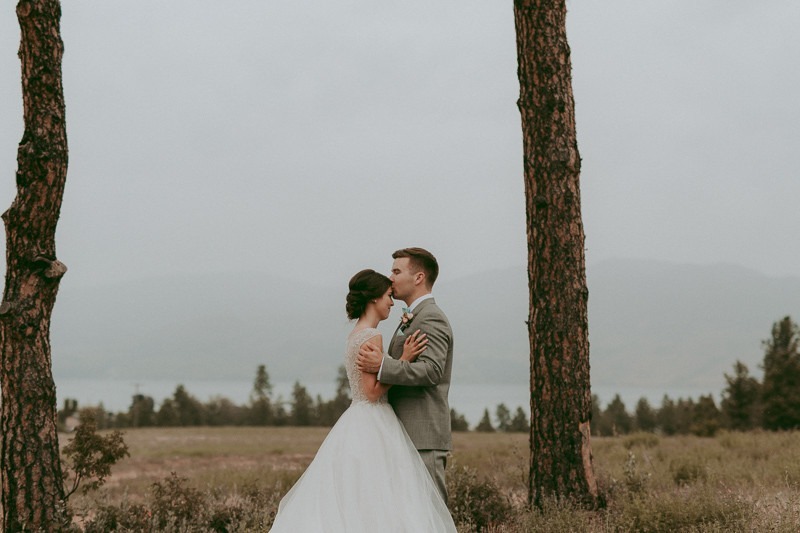 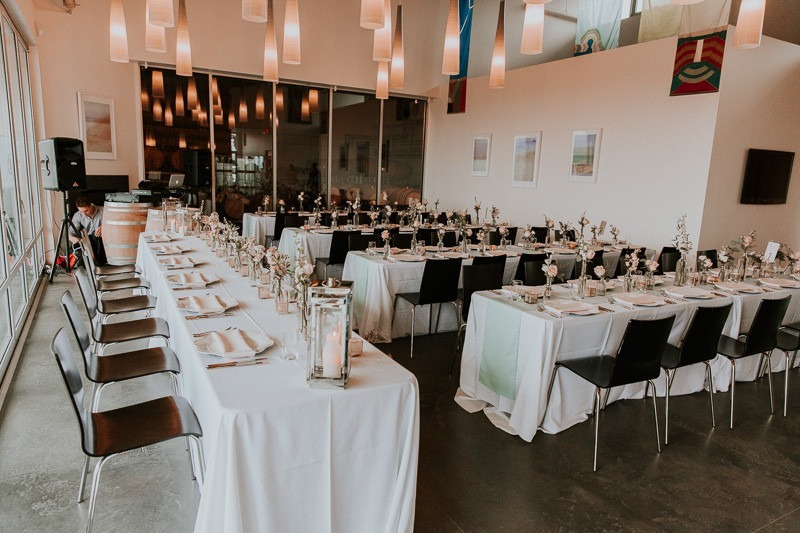 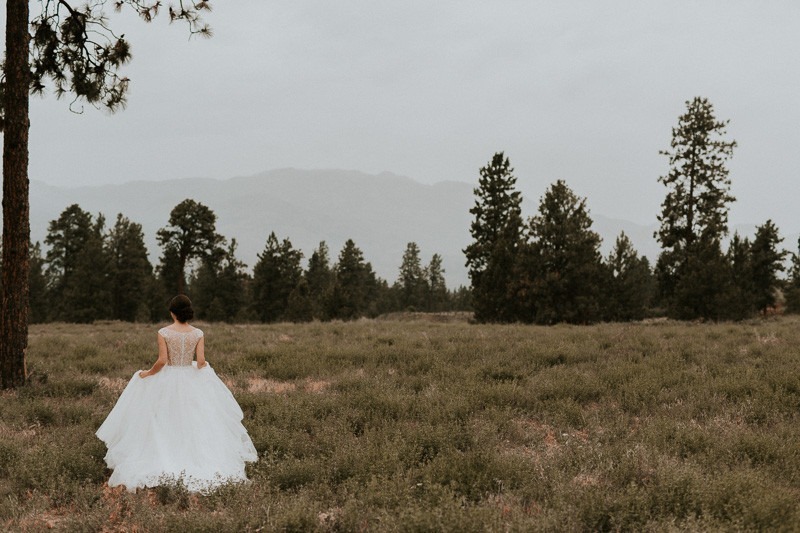 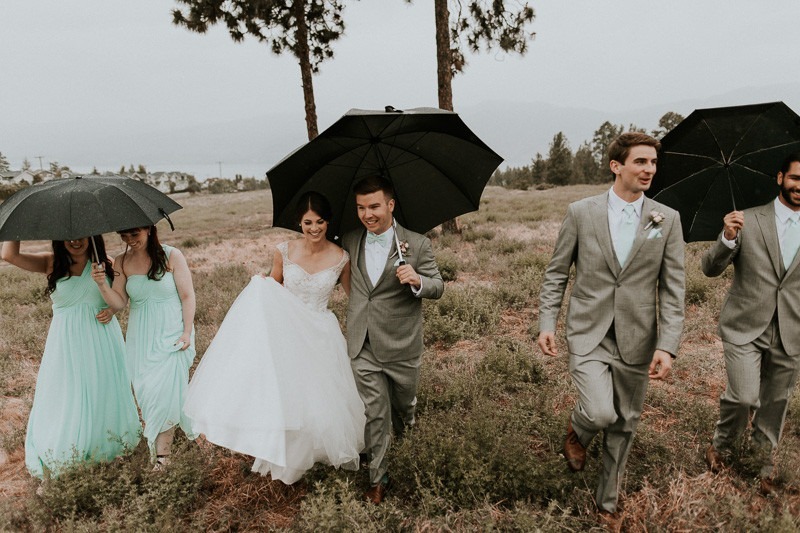 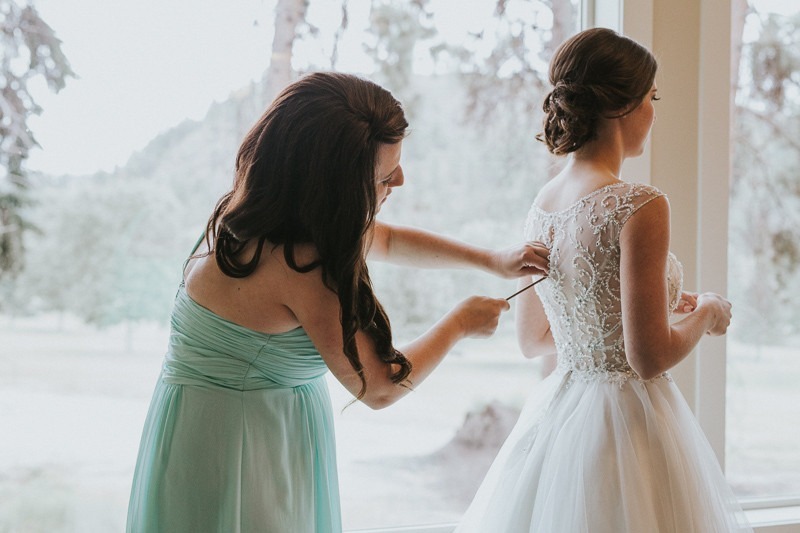 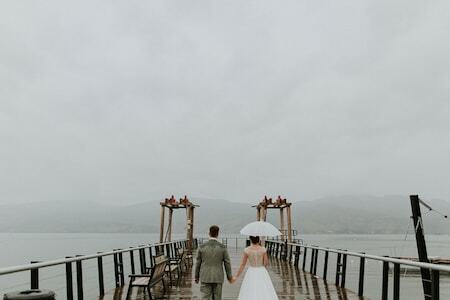 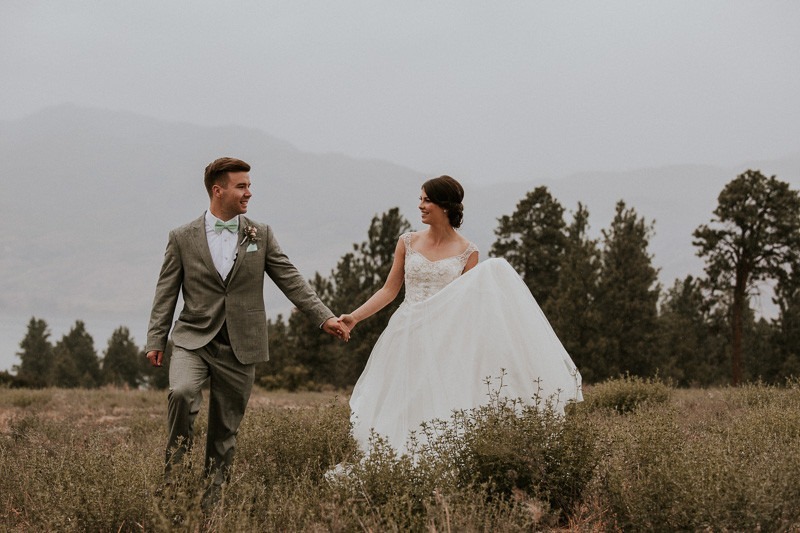 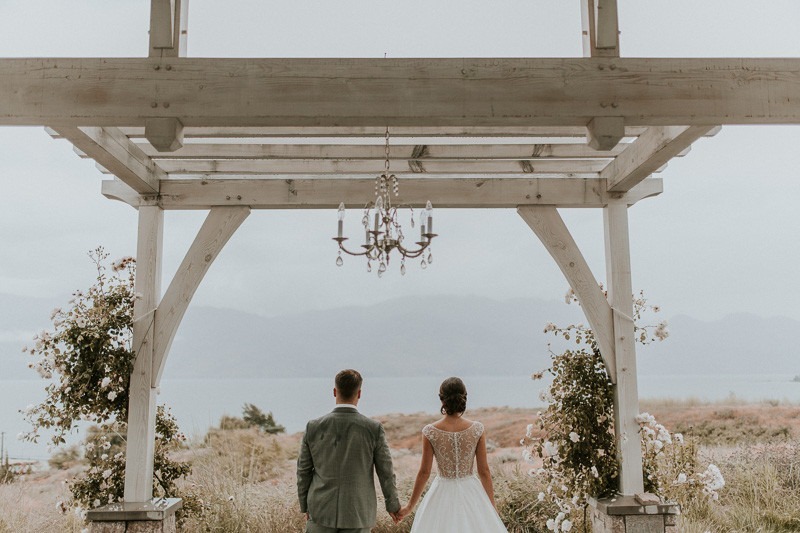 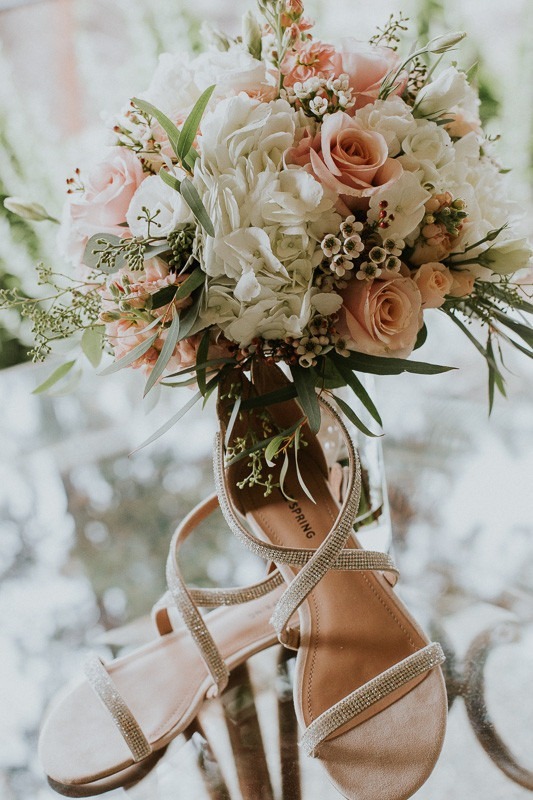 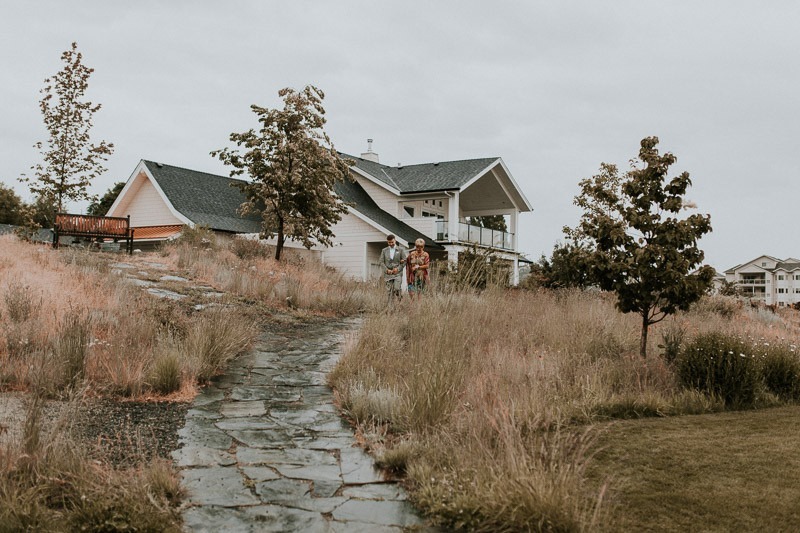 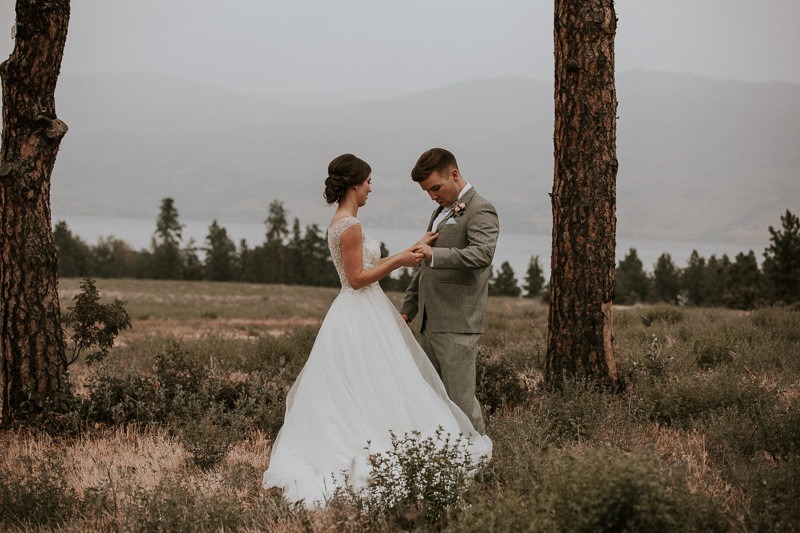 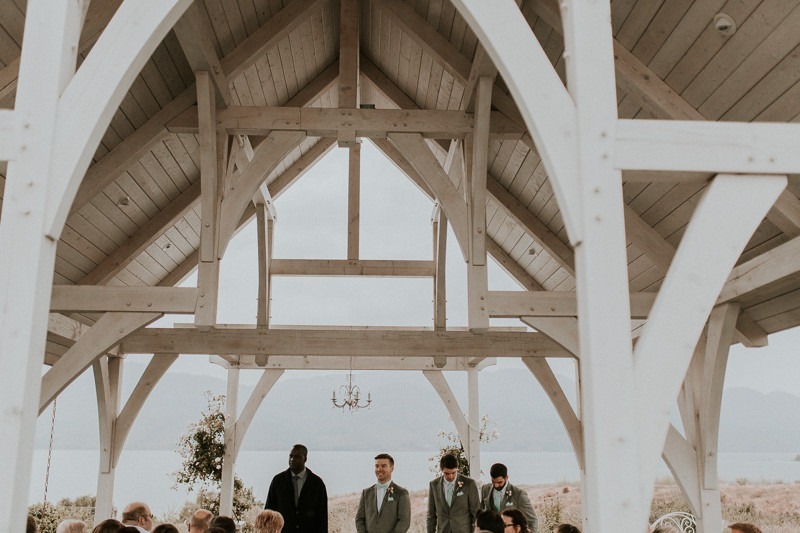 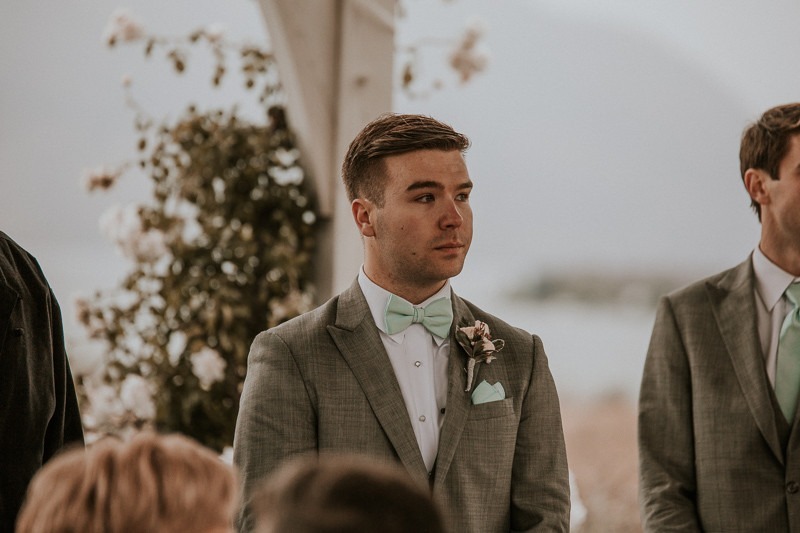 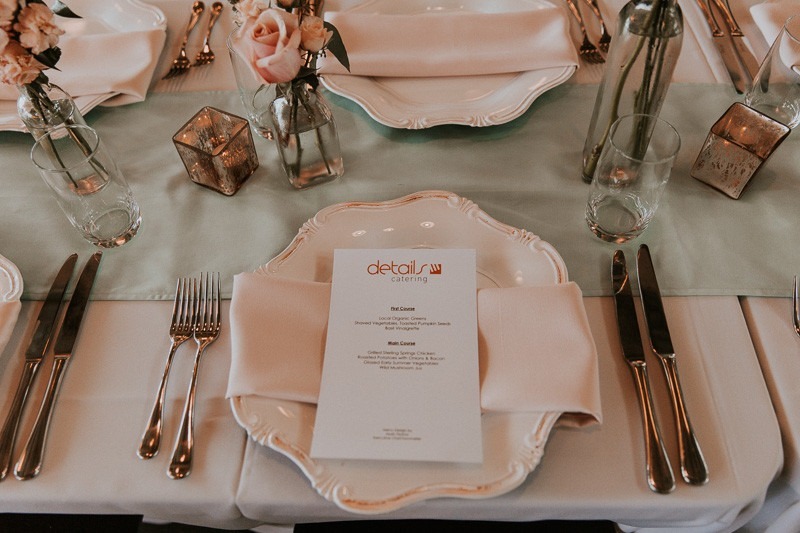 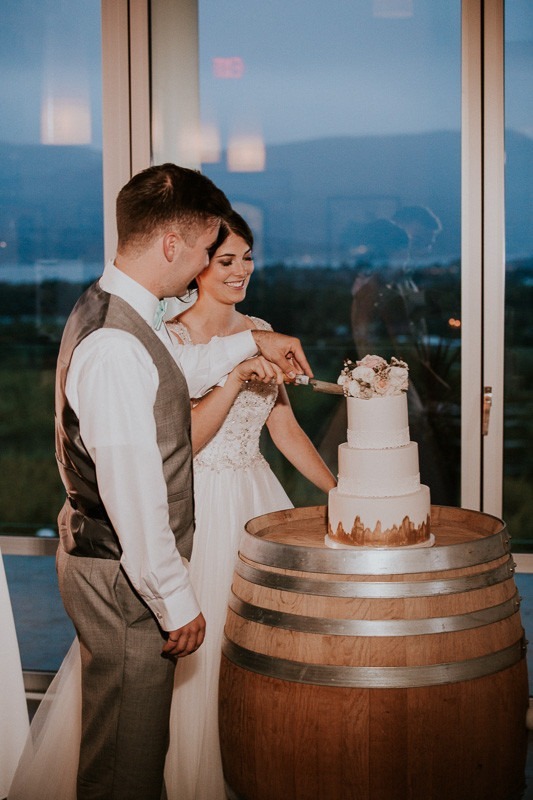 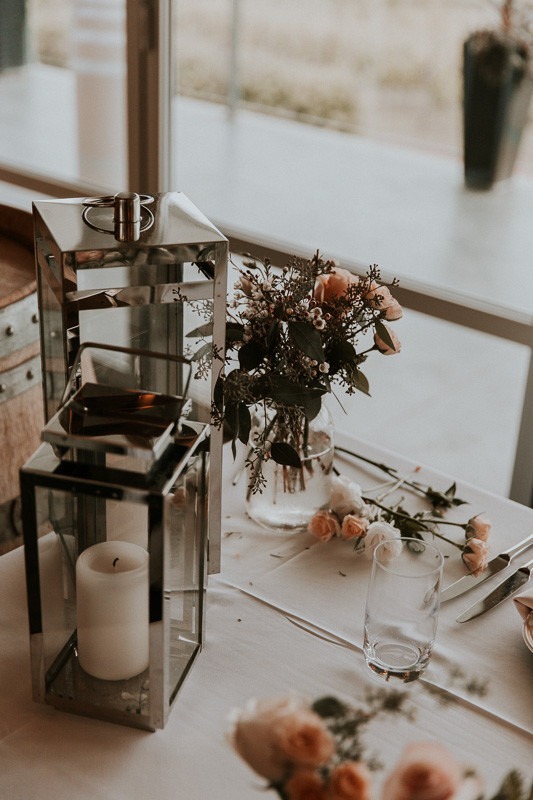 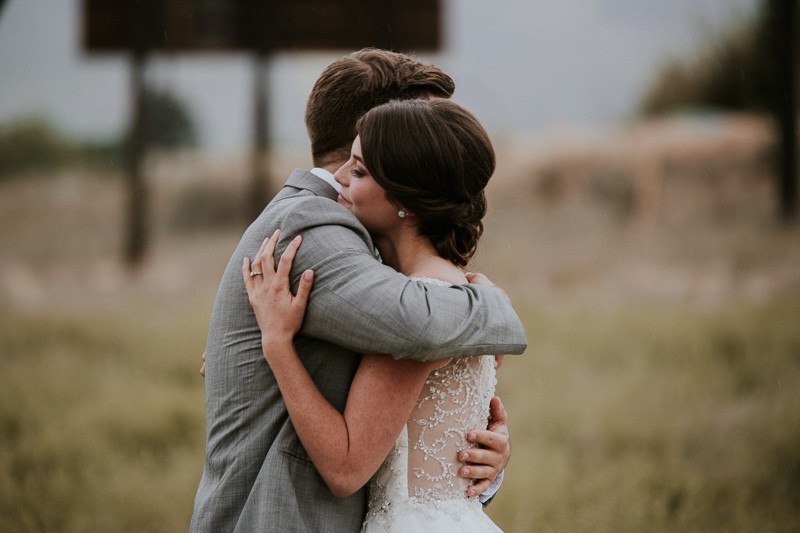 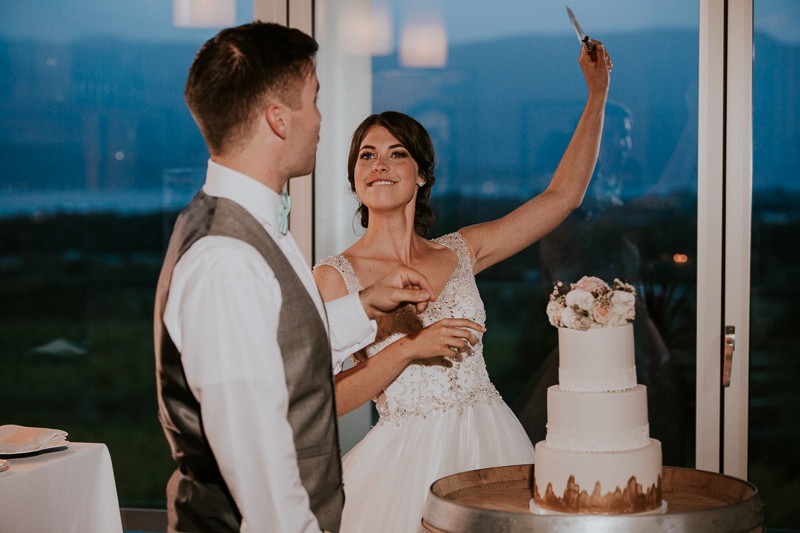 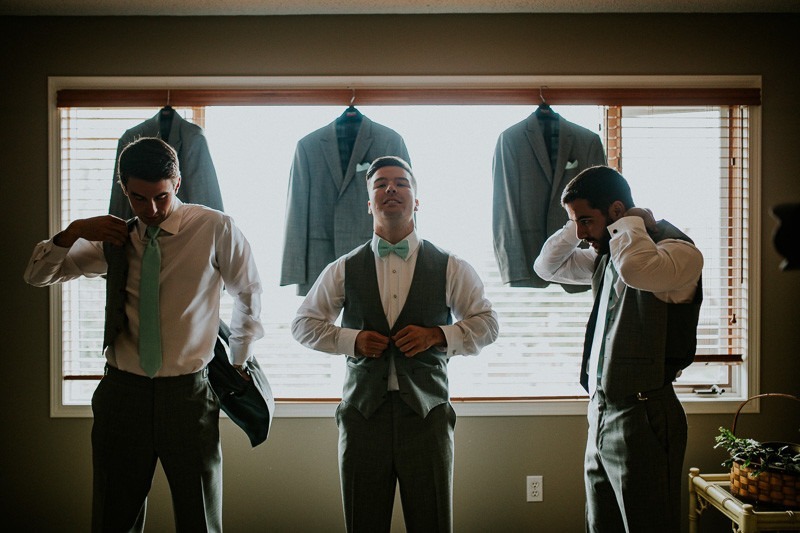 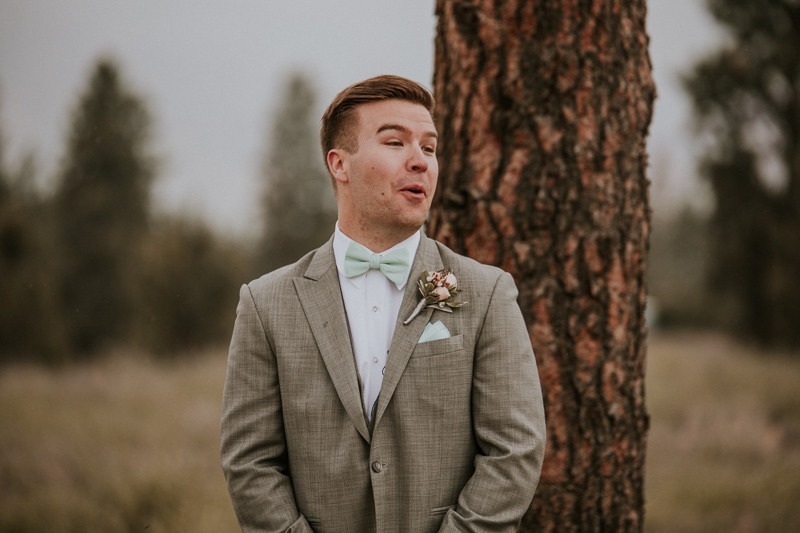 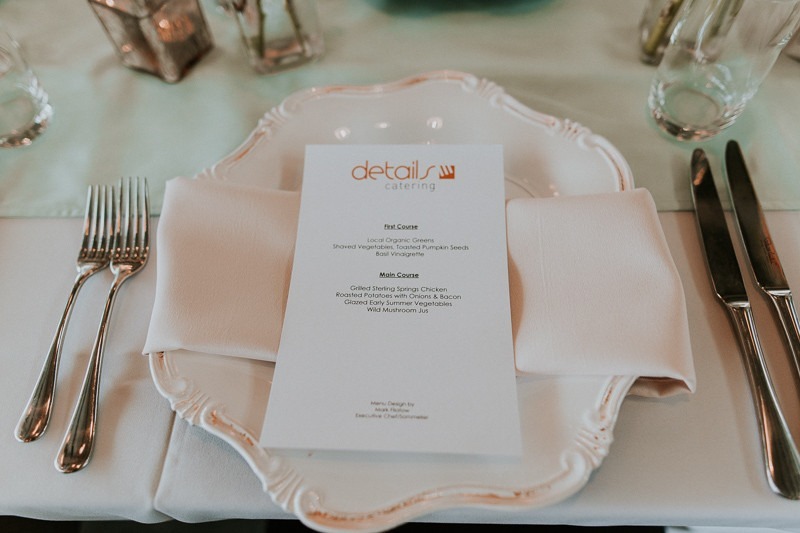 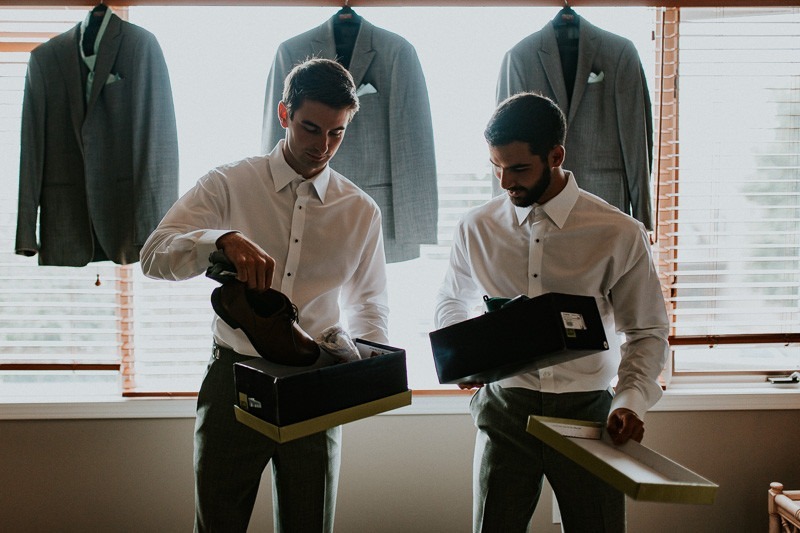 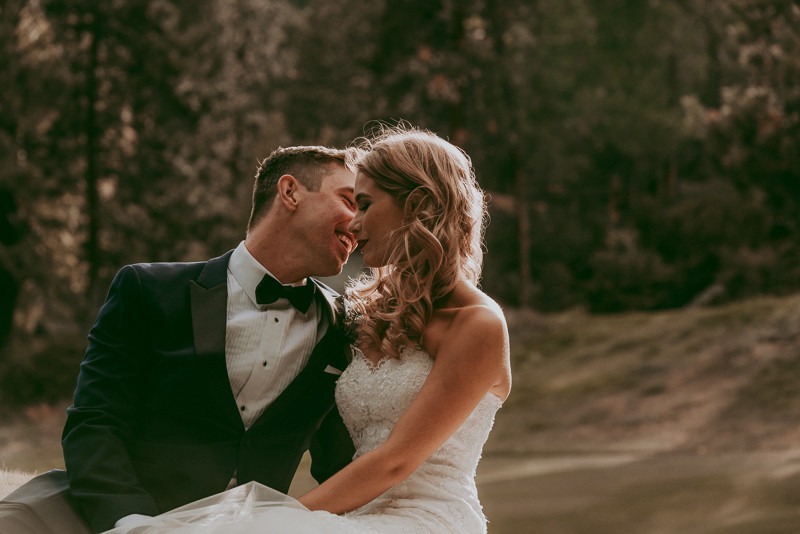 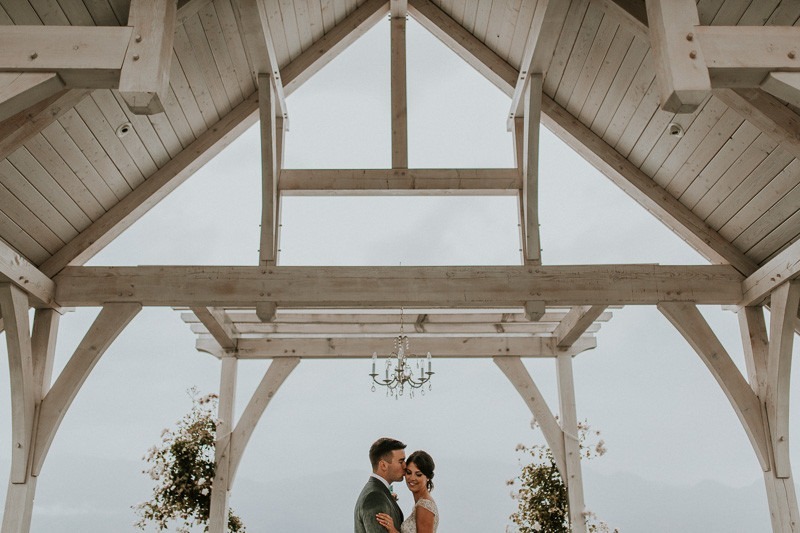 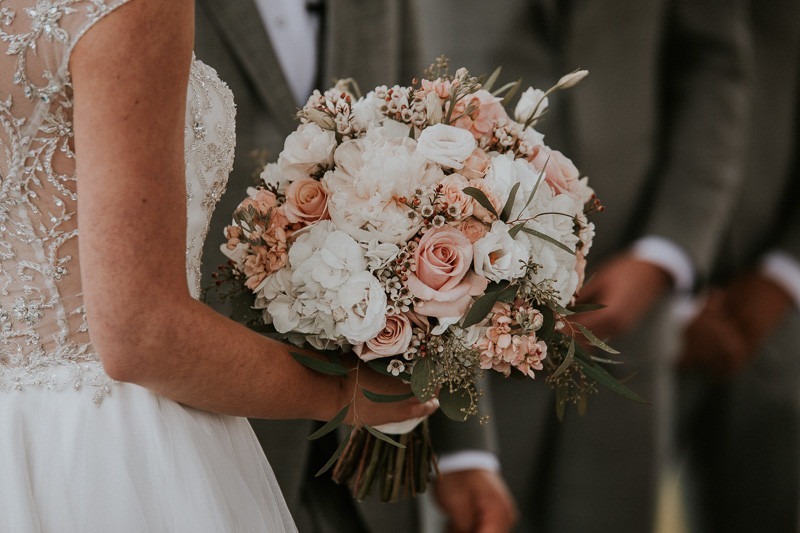 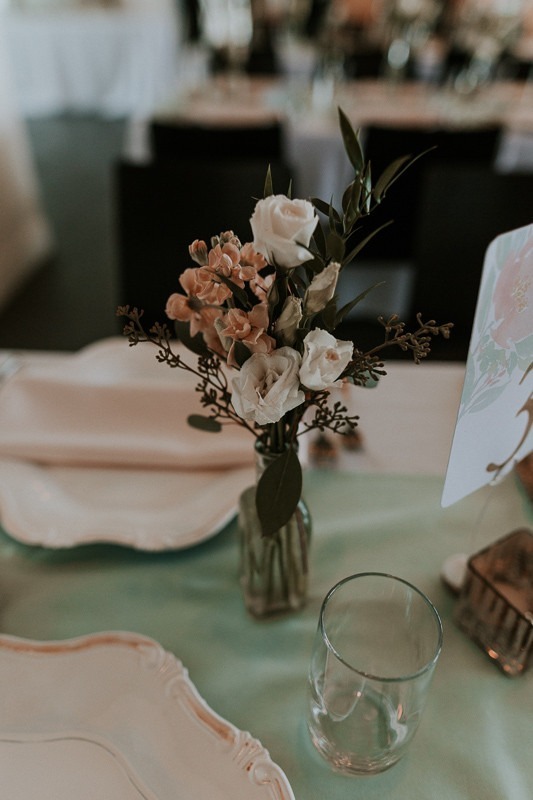 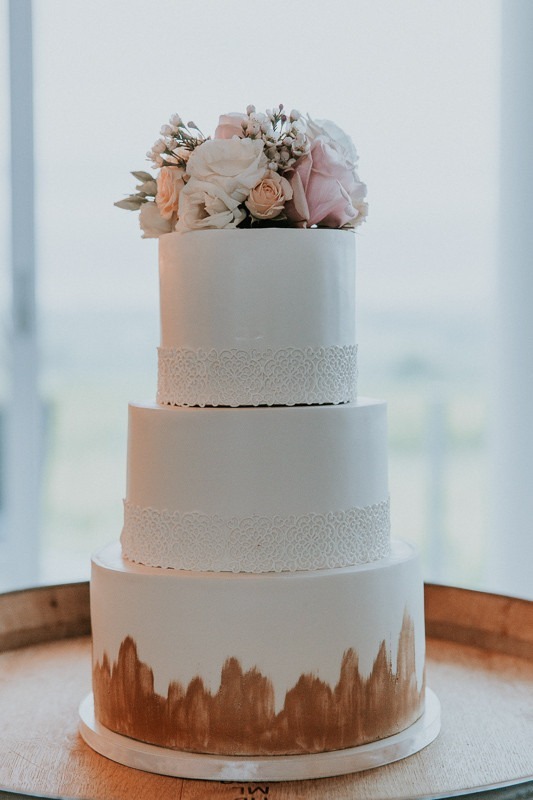 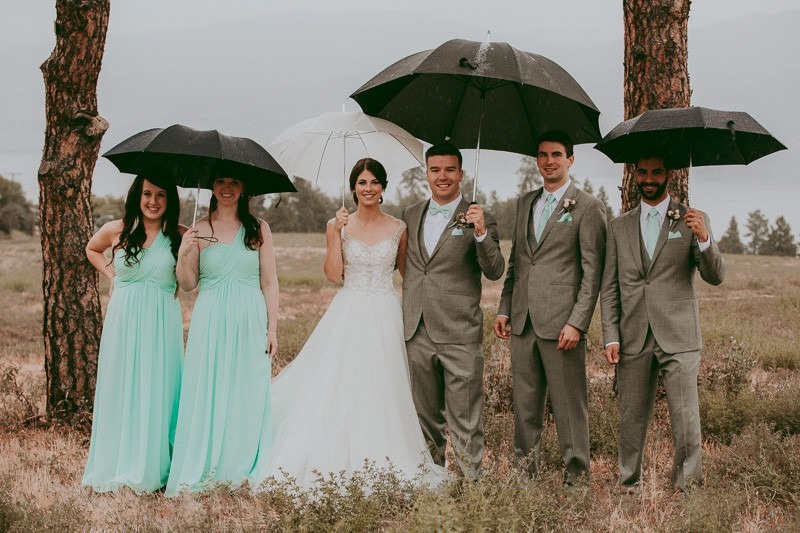 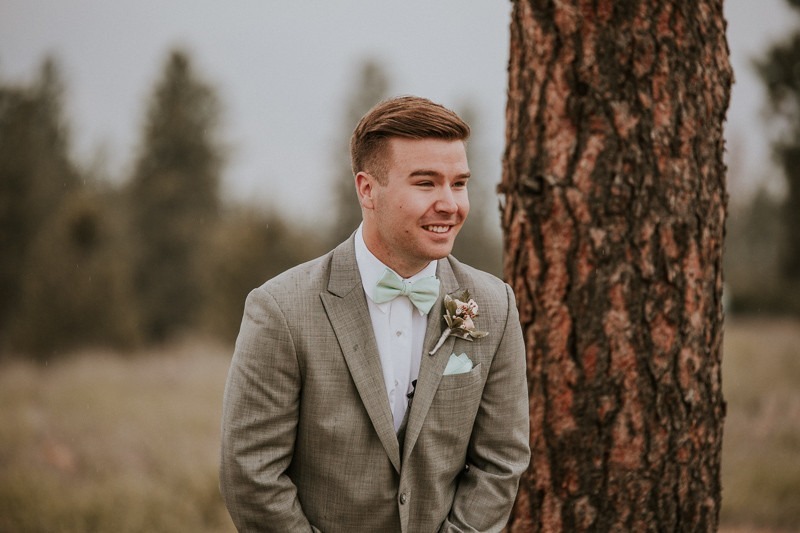 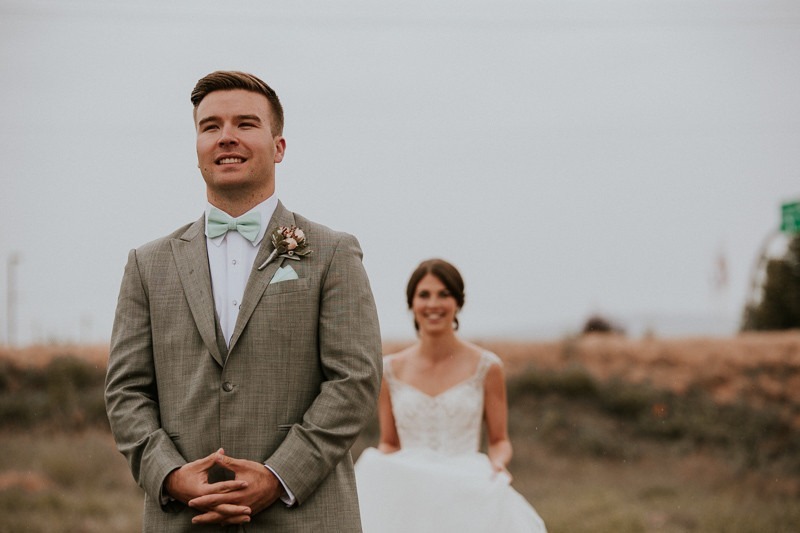 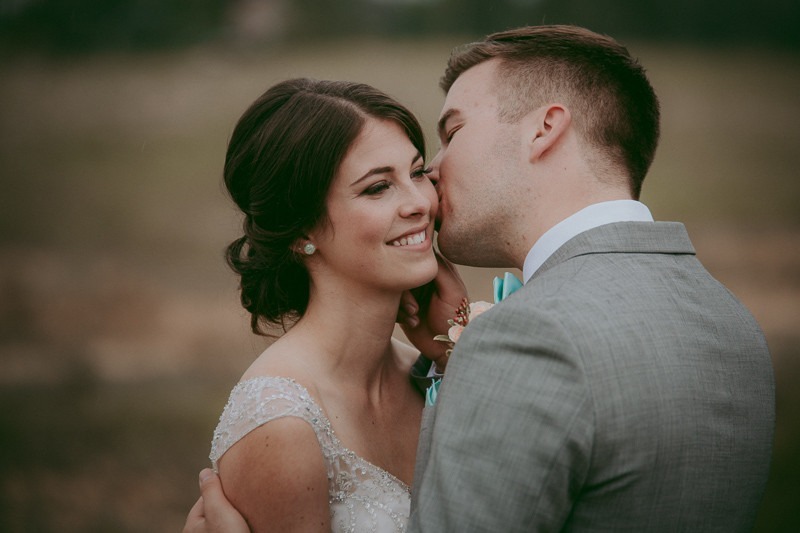 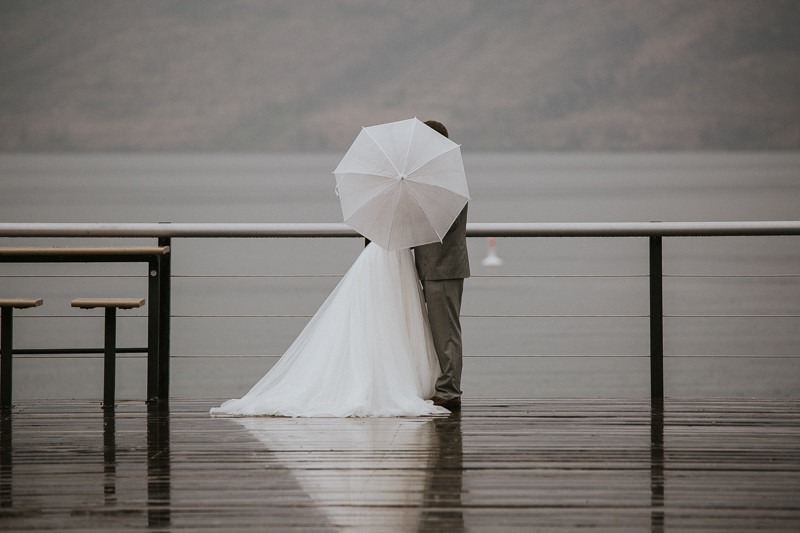 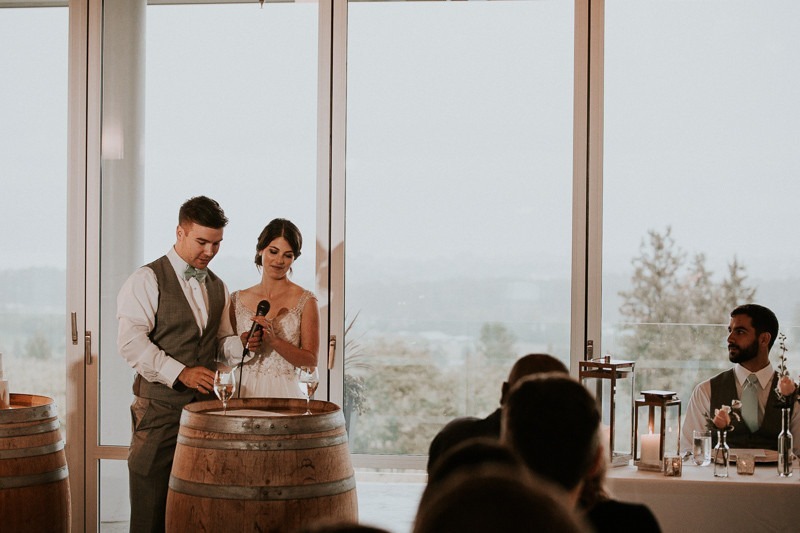 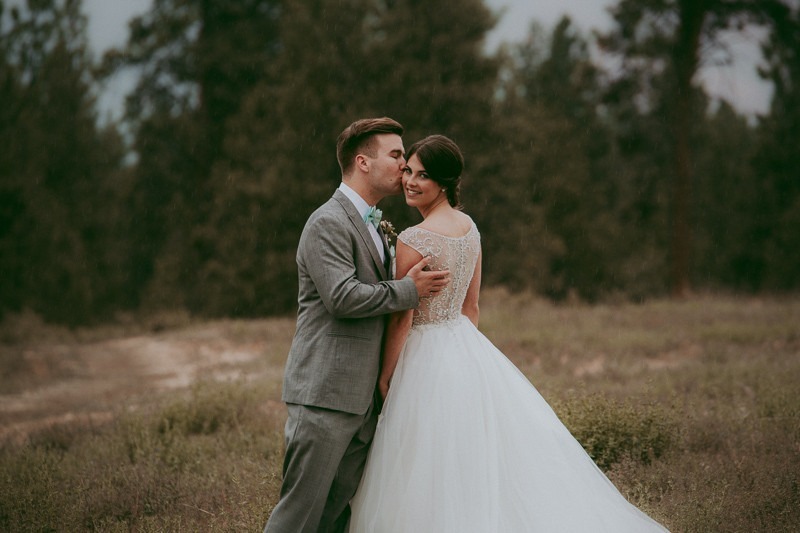 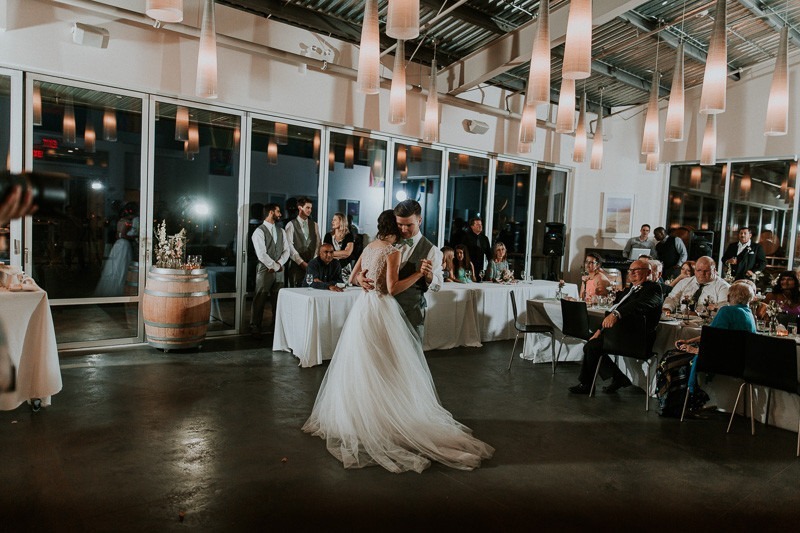 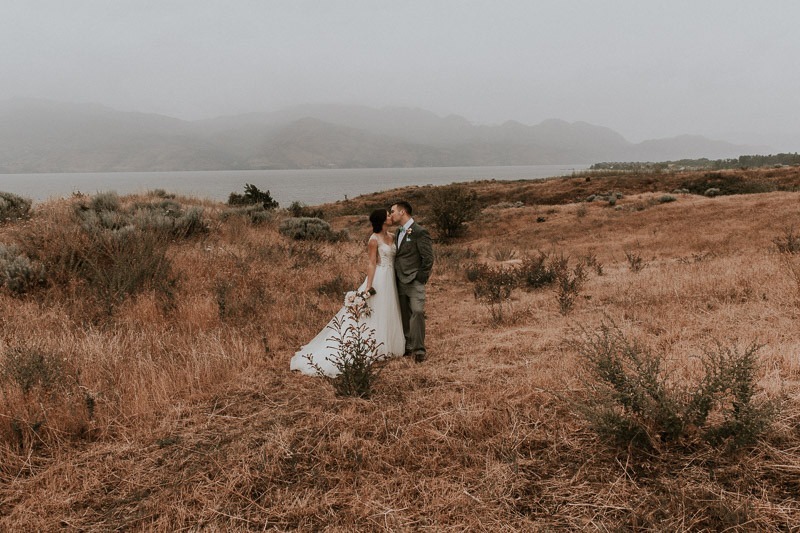 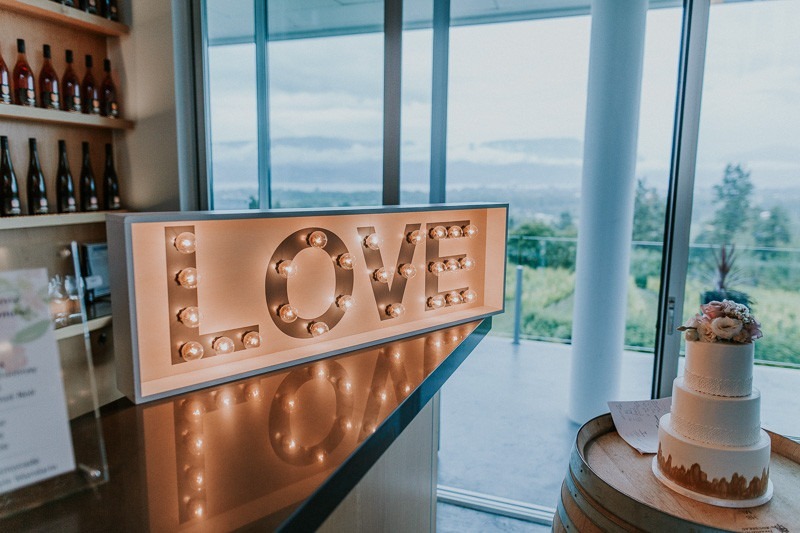 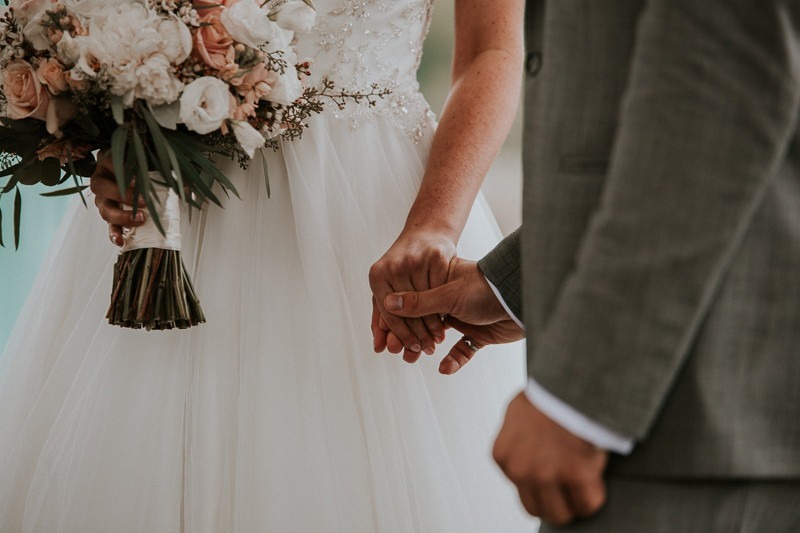 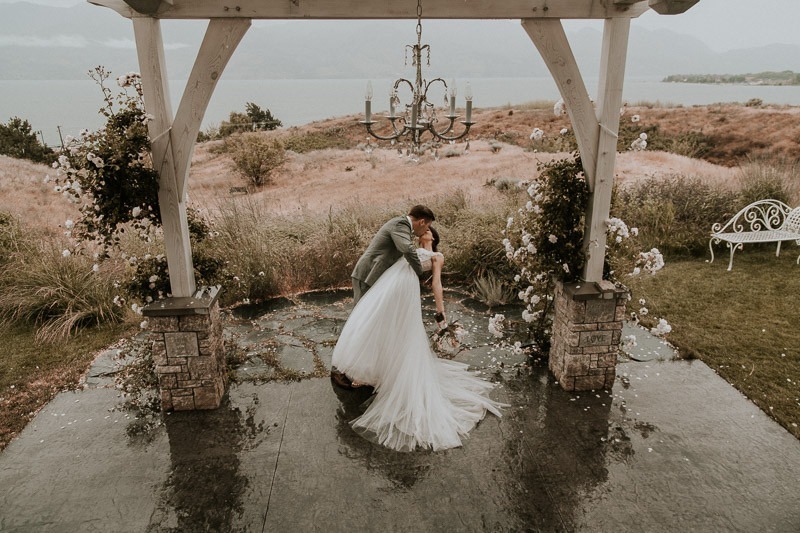 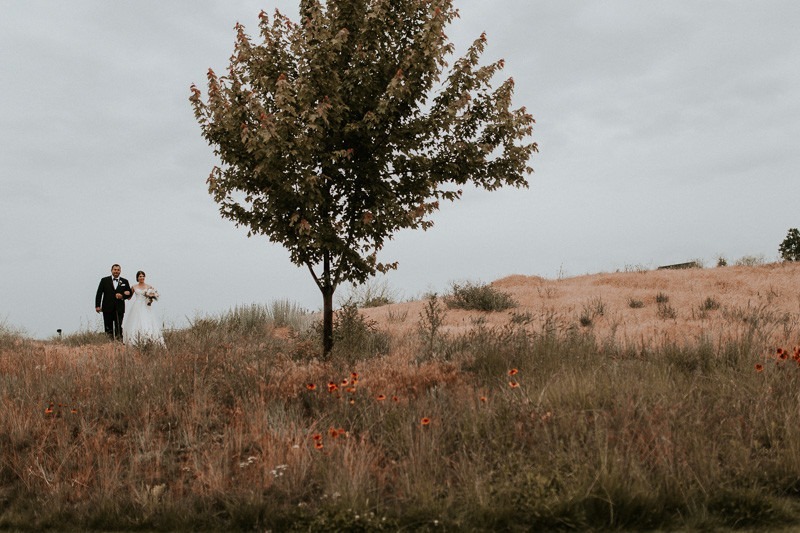 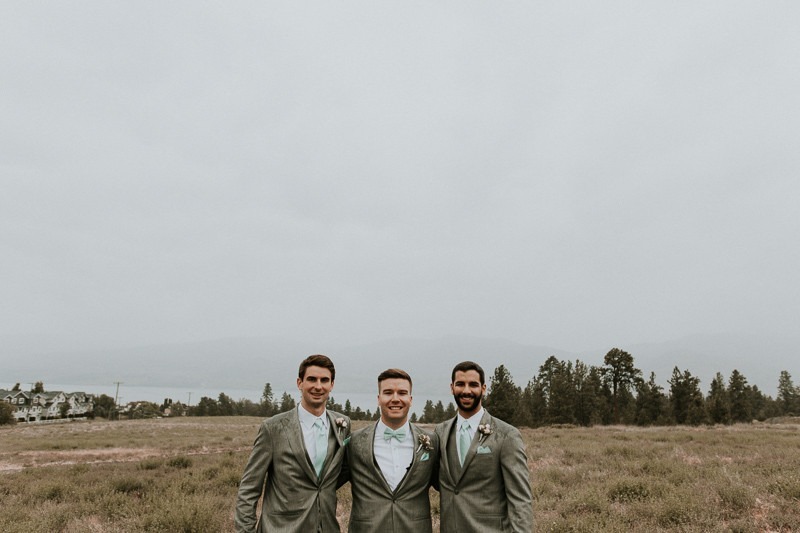 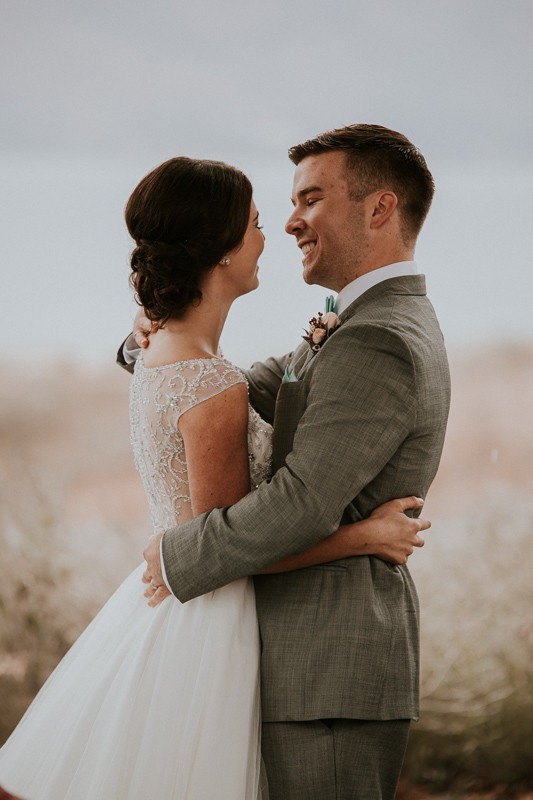 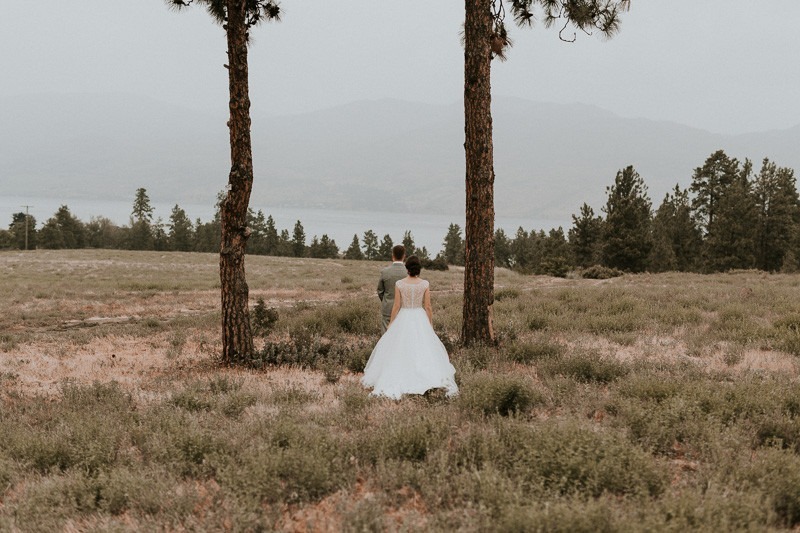 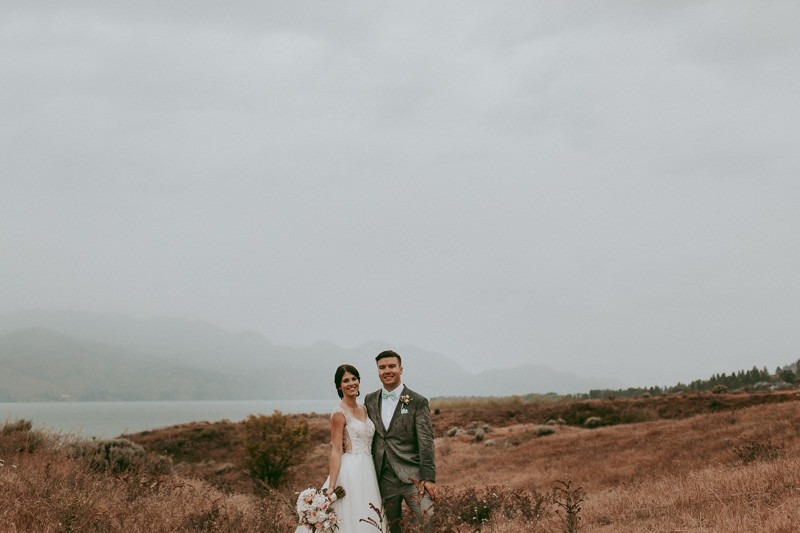 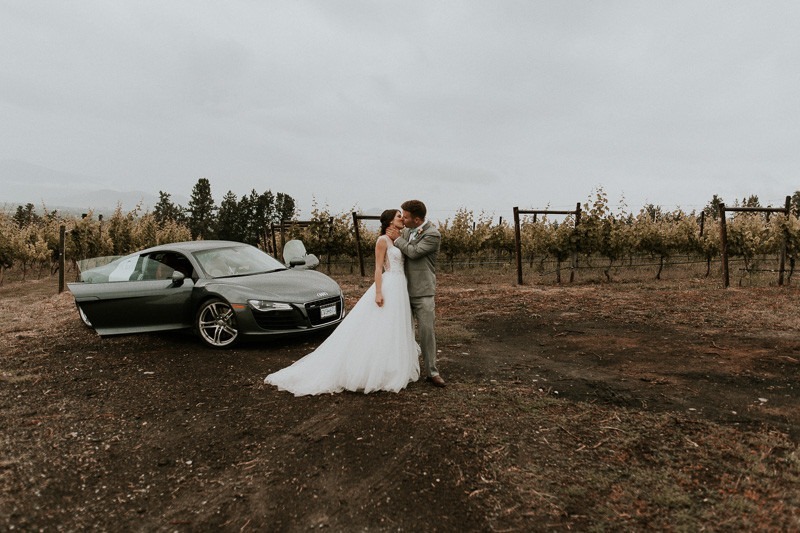 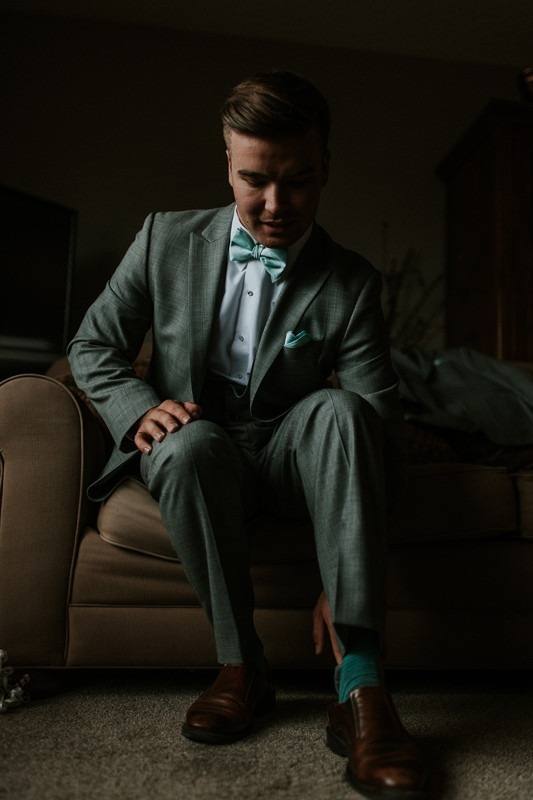 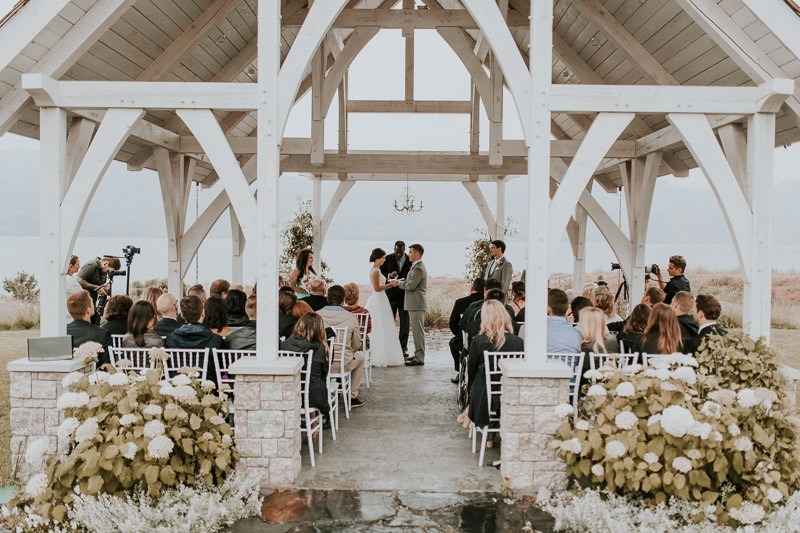 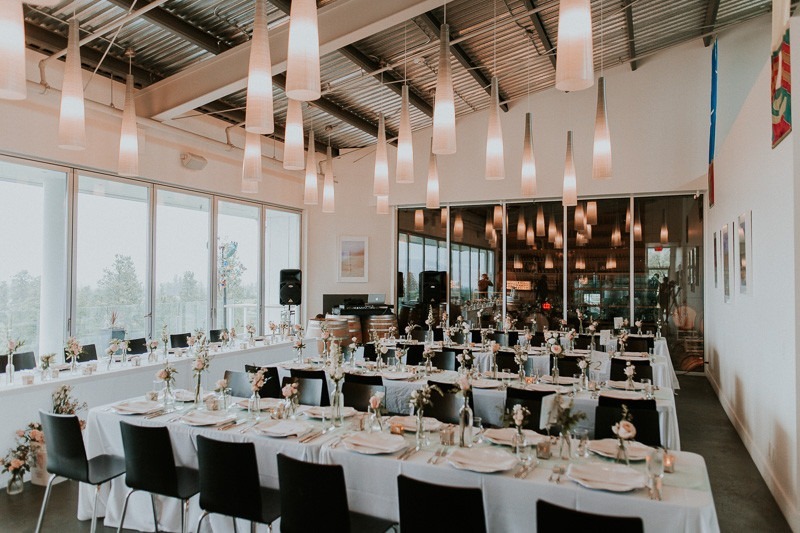 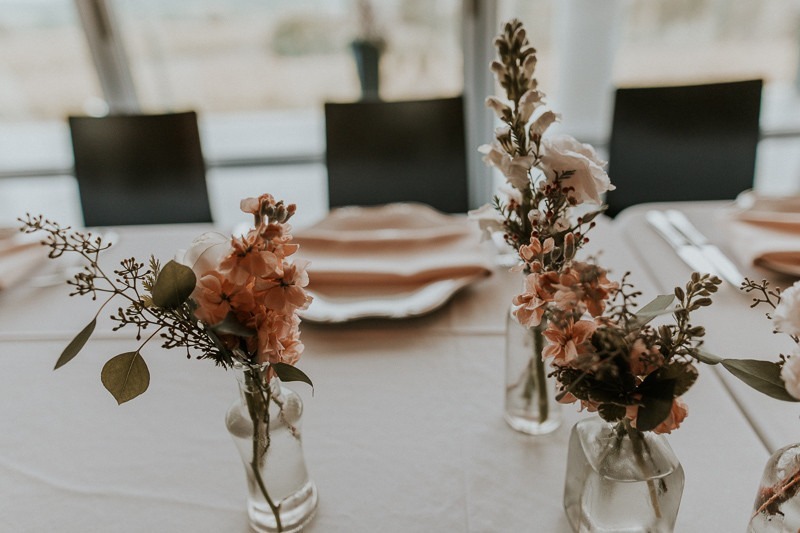 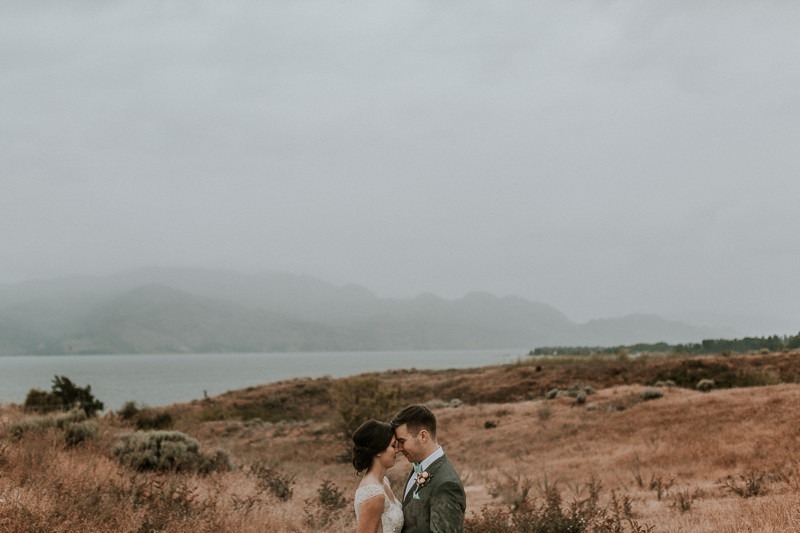 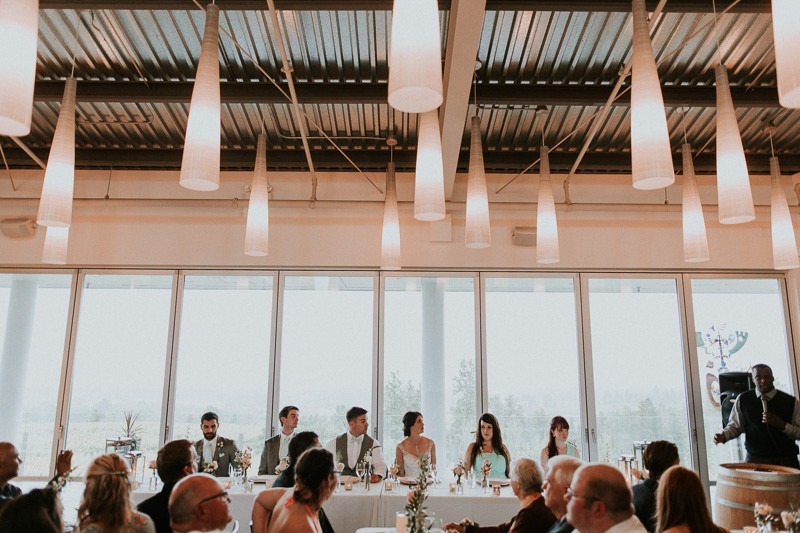 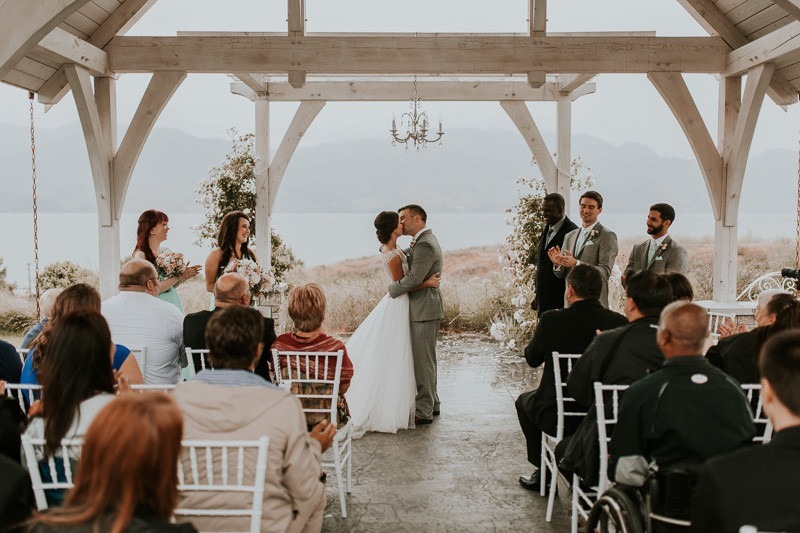 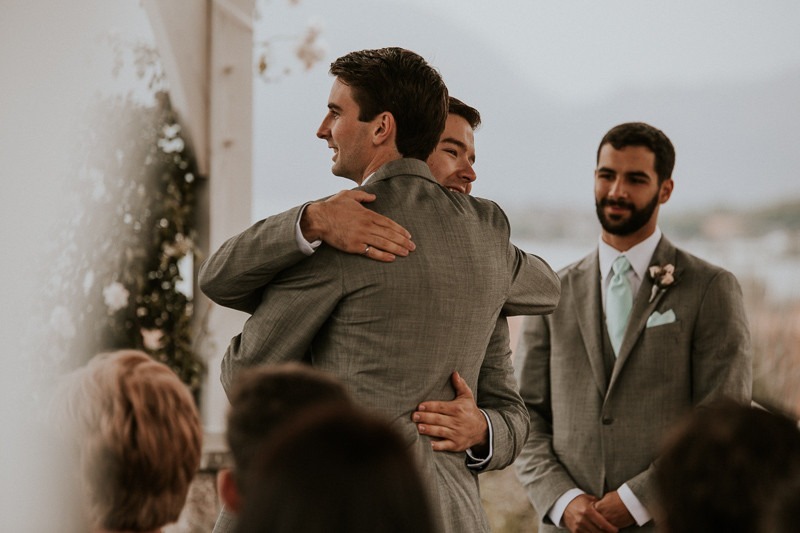 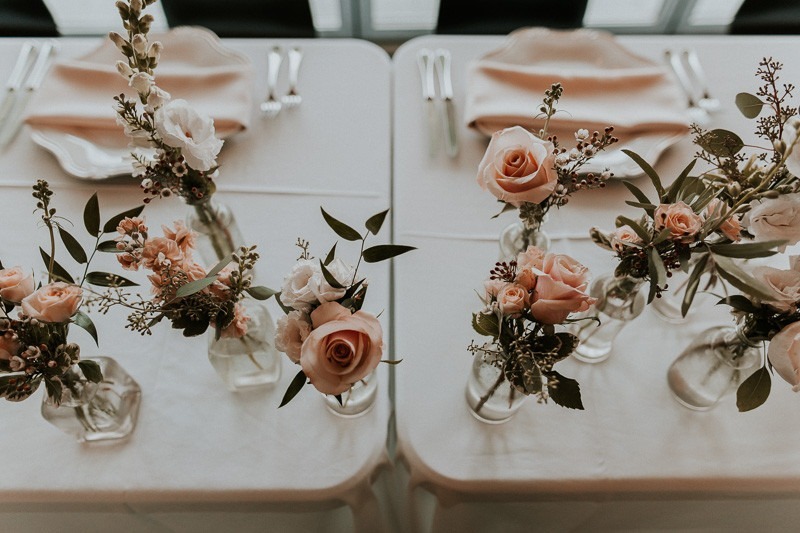 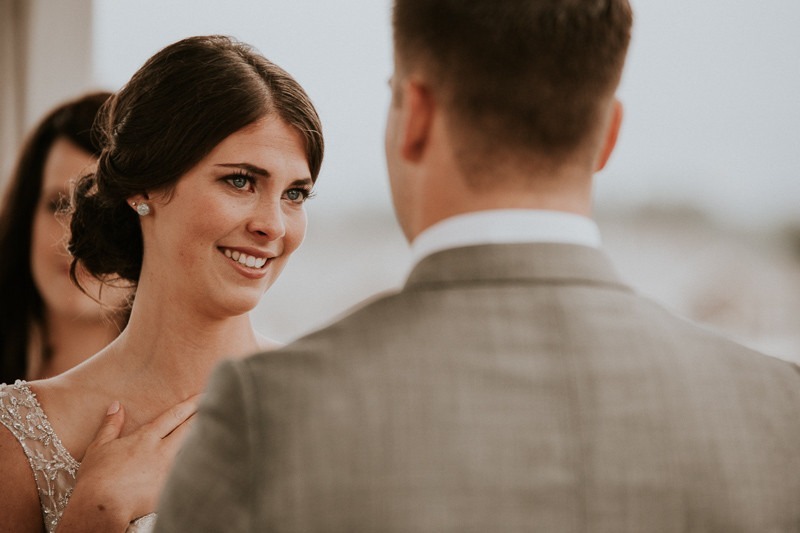 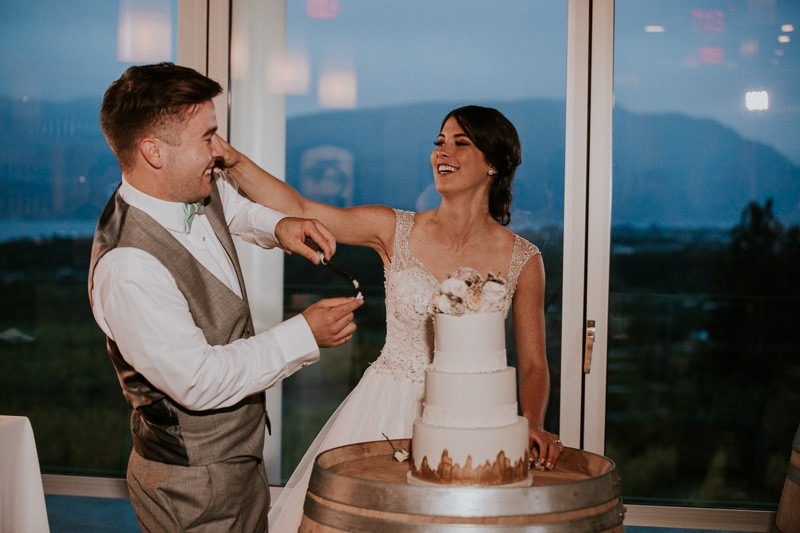 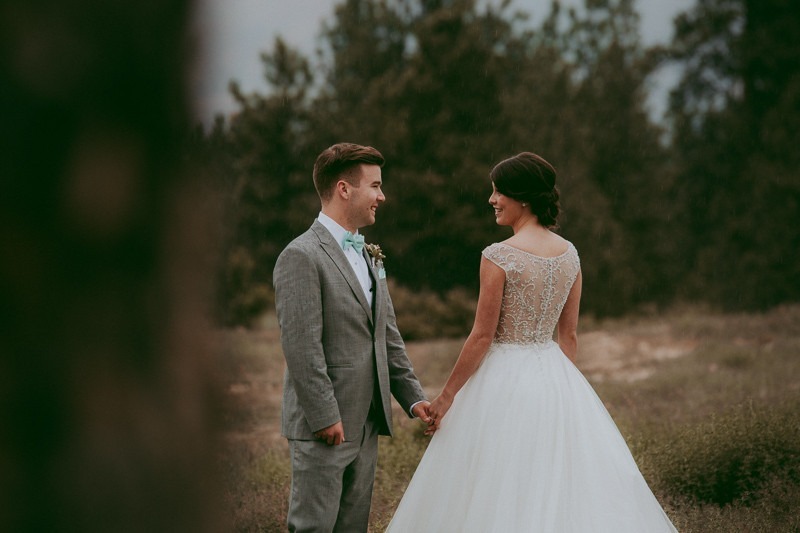 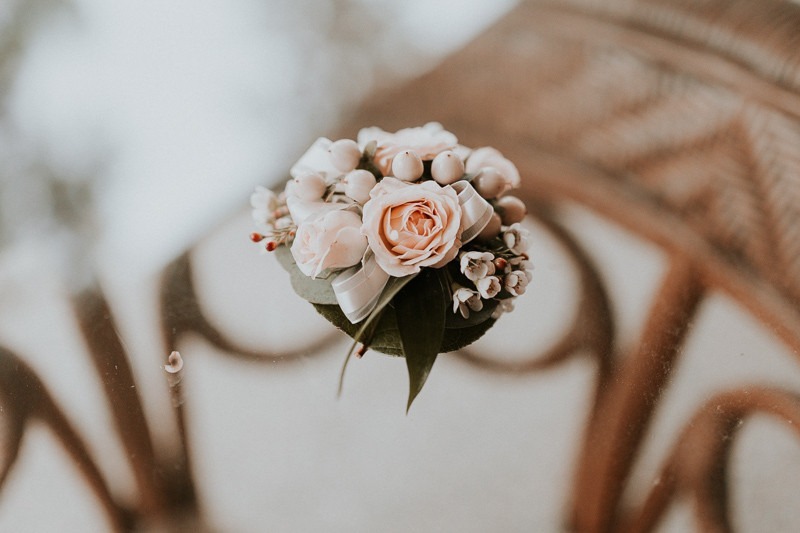 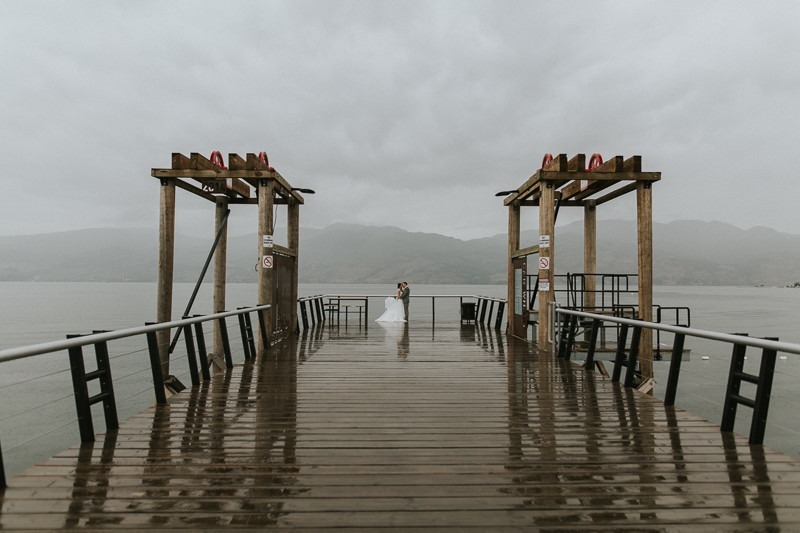 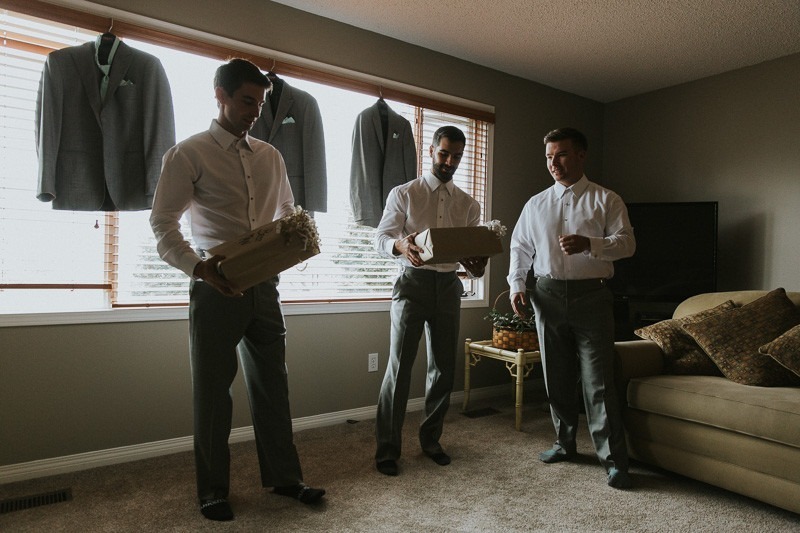 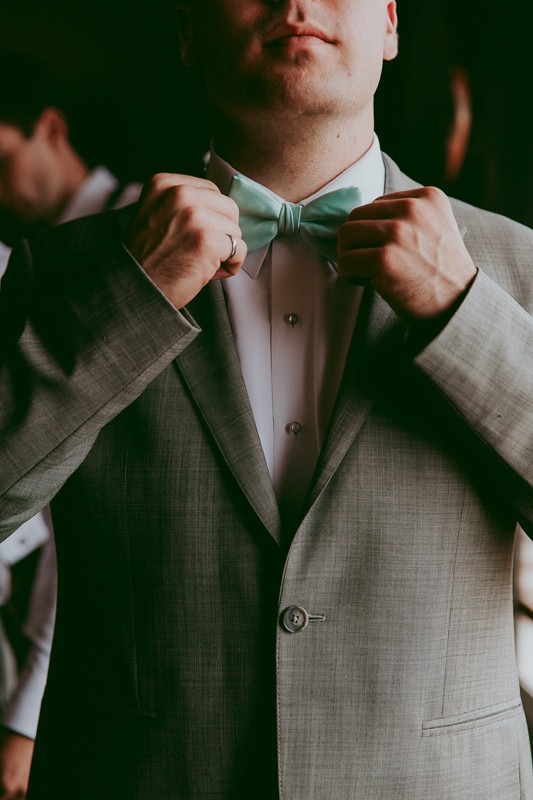 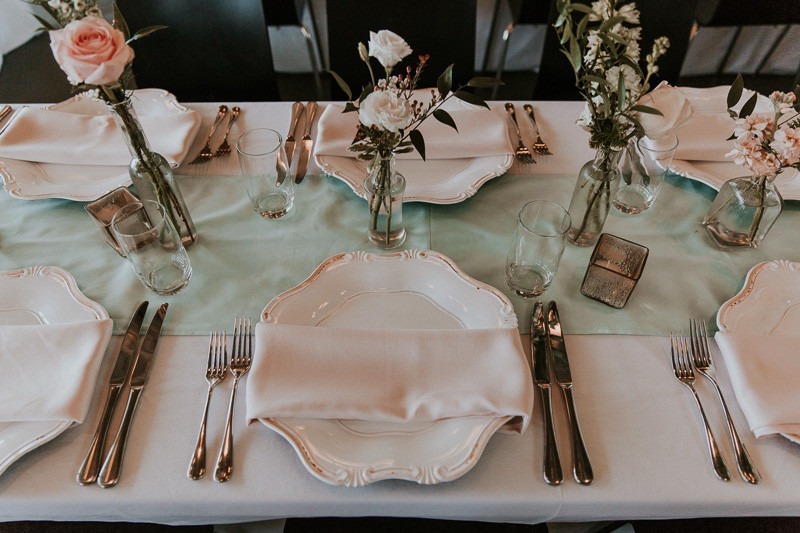 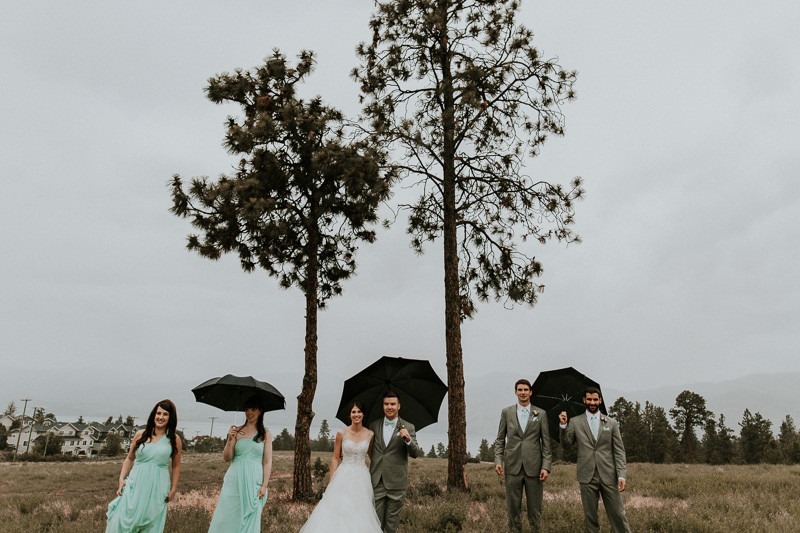 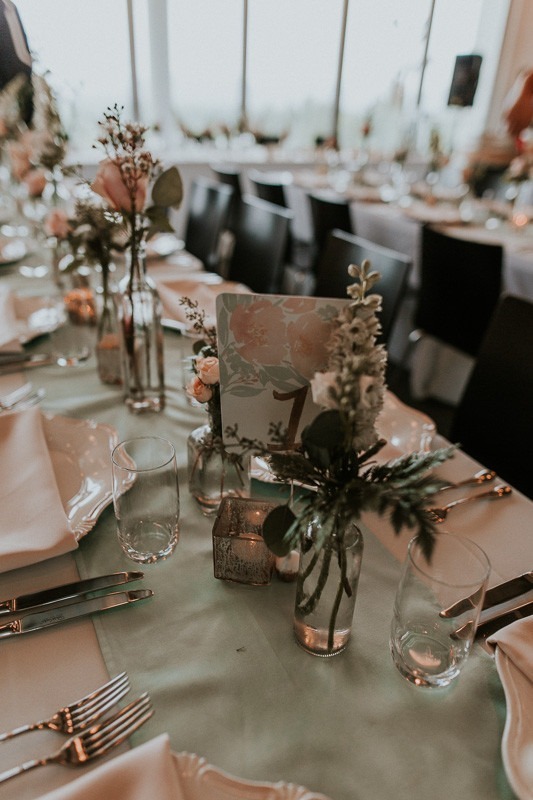 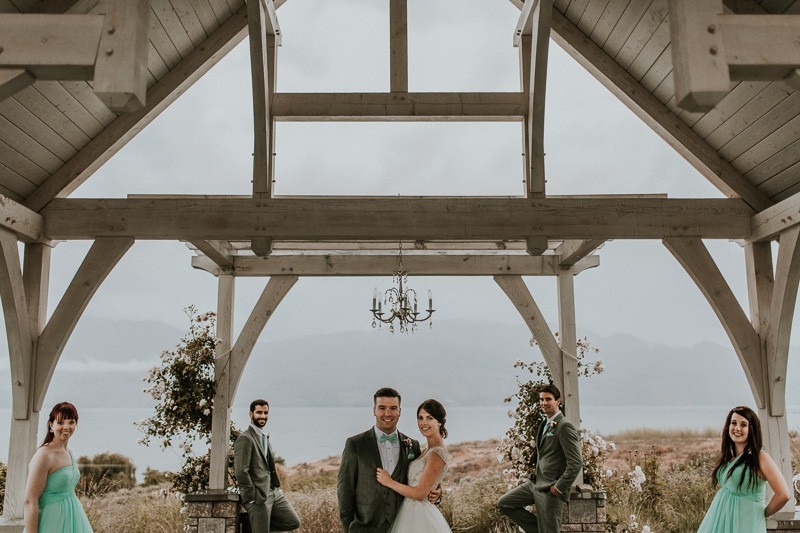 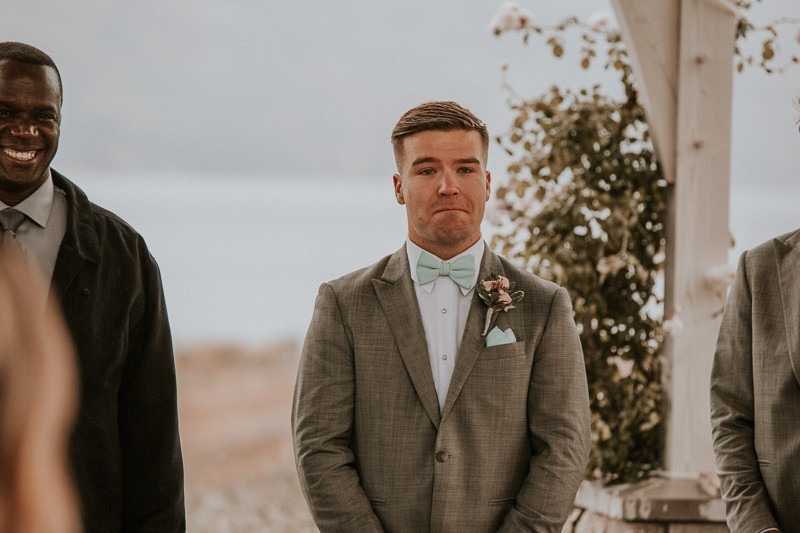 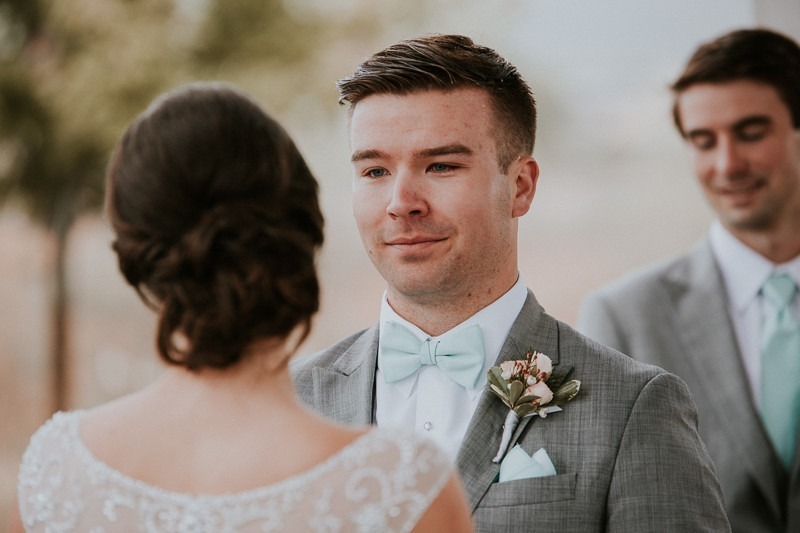 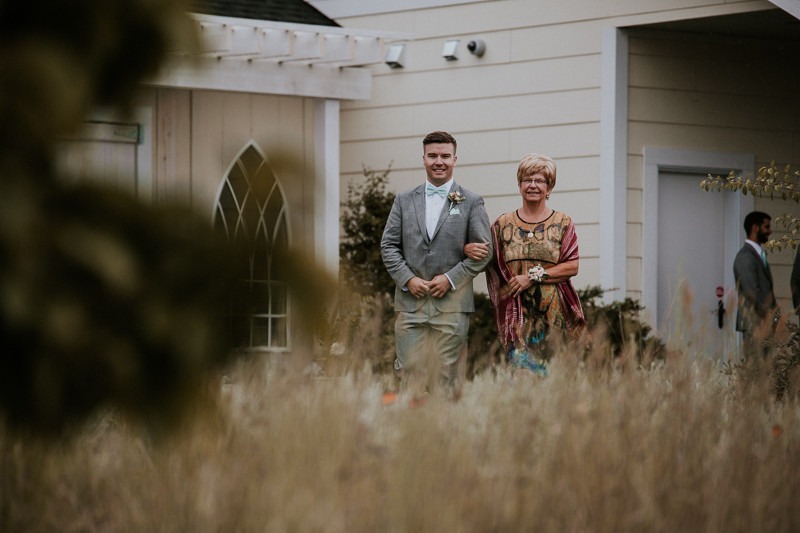 What seemed an unlikely match struck solid gold – and the relationship blossomed into something absolutely beautiful.Thomas & Kayla held a destination wedding on June 18th in their hometown of Kelowna, British Columbia Canada – the heart of the Okanagan. 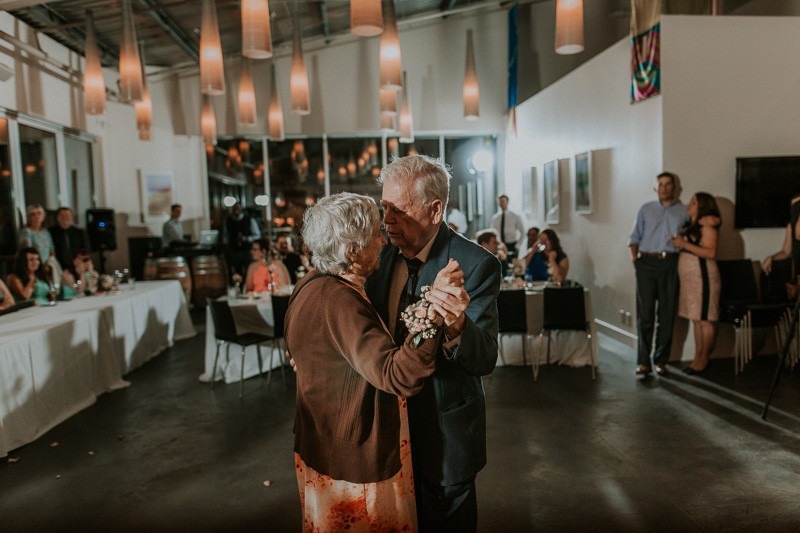 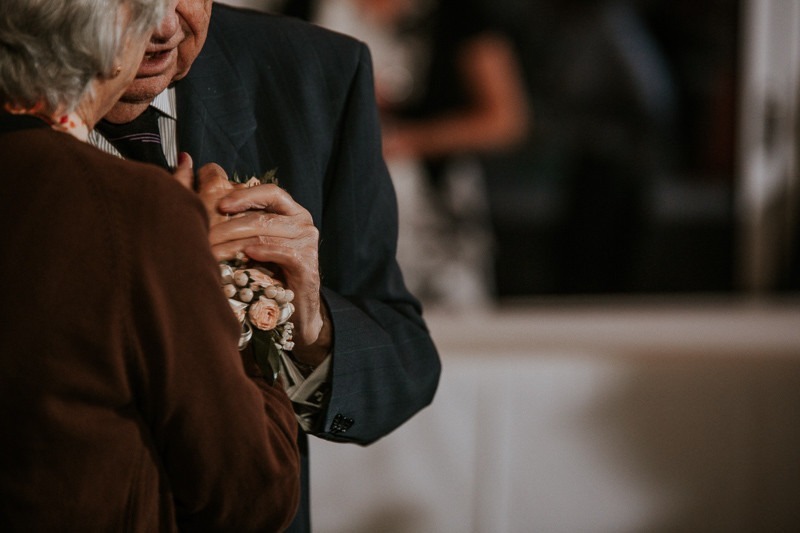 Their wedding date was also incredibly special, as they share it with Kayla’s Grandparents anniversary – 61 years ago! 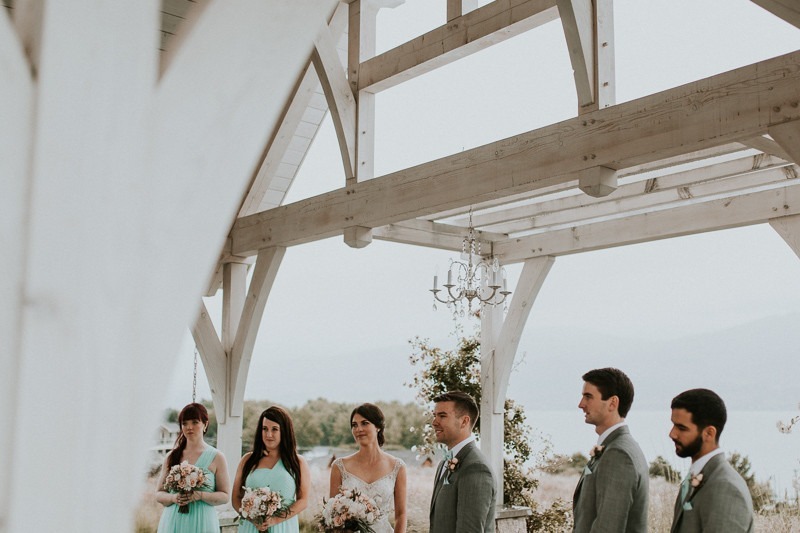 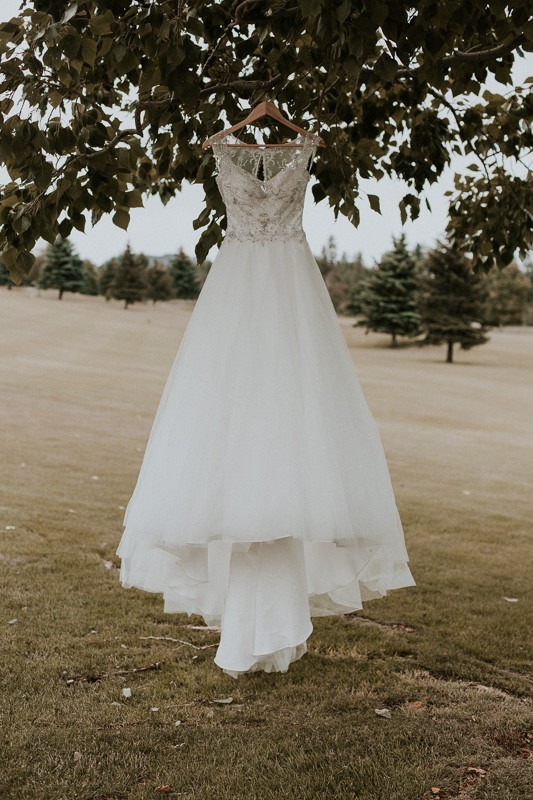 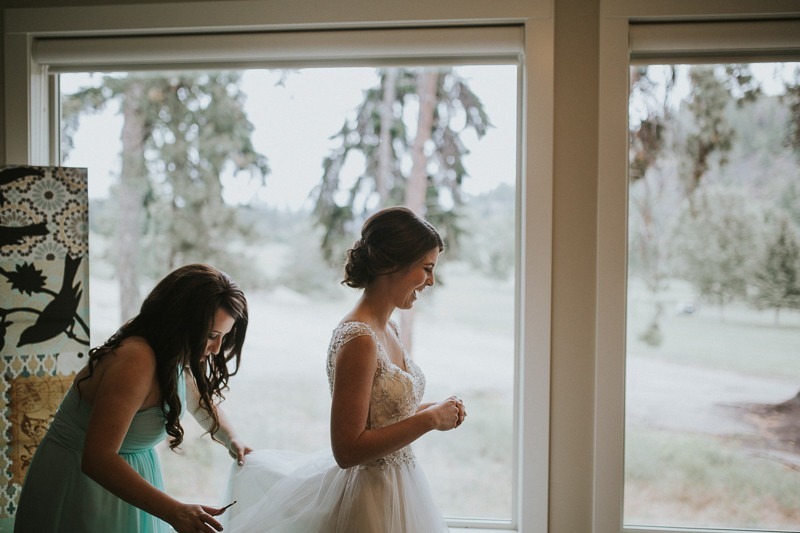 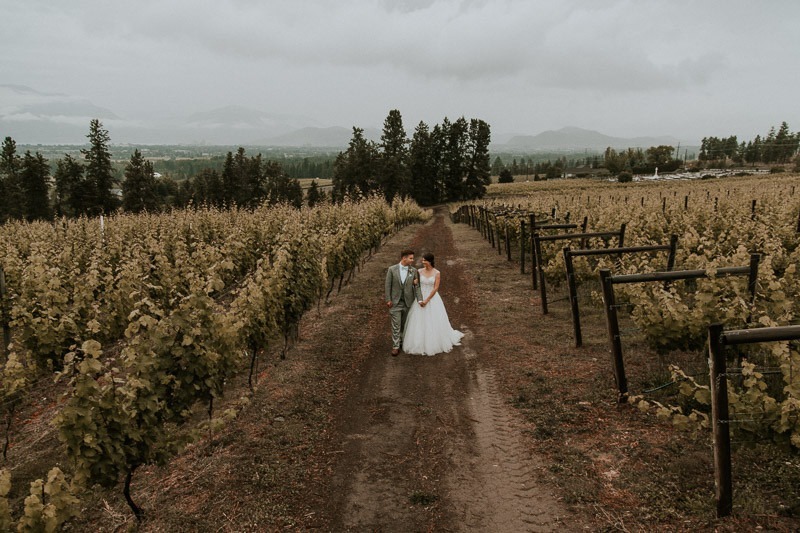 The ceremony was held outdoors at the gorgeous Sanctuary Gardens in West Kelowna, with reception at Tantalus Vineyards & Winery. 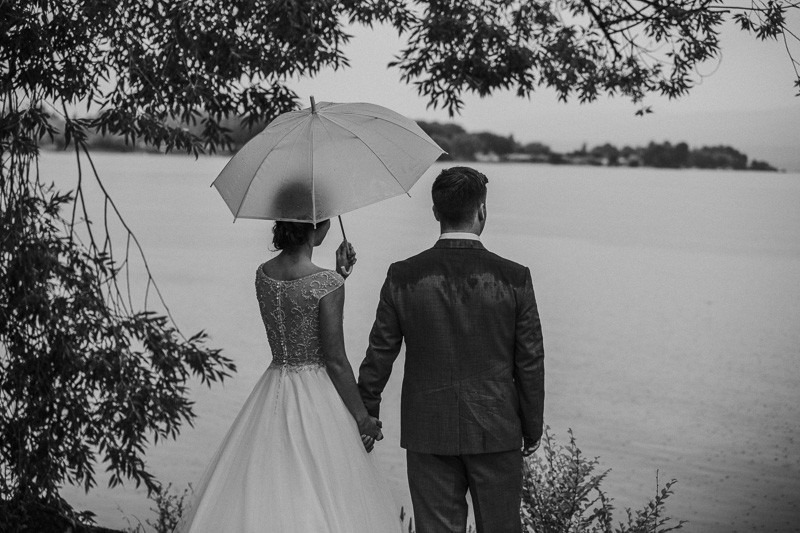 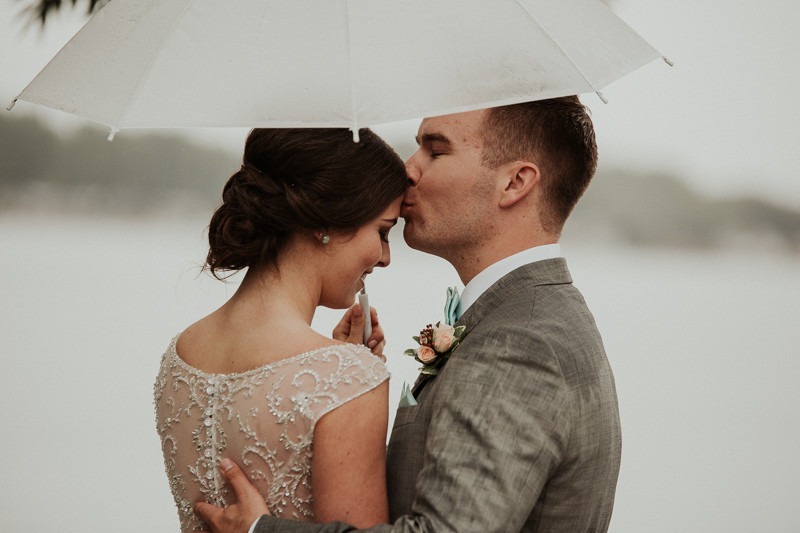 It was a perfect, fairytale day… Except for the pouring rain!But after facing so much together a little rain wasn’t going to get these two down – they came prepared with cute umbrellas & waterproof mascara, braving the pouring rain – Wow did those overcast skies make for some dramatic and gorgeous imagery! 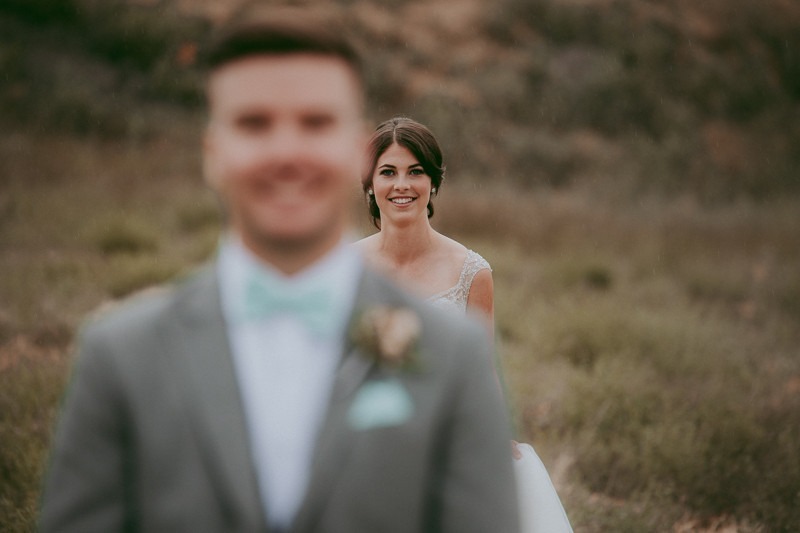 Capturing the romance between these two lovebirds was easy. 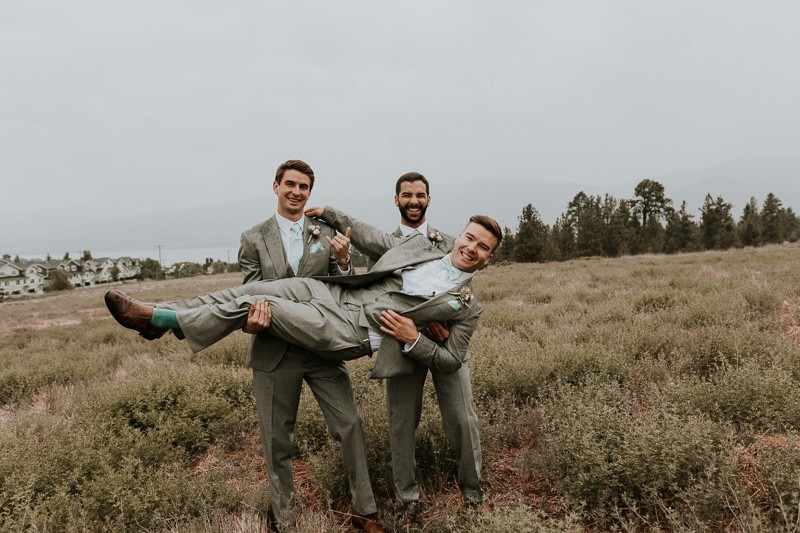 They’re absolutely awesome and we love it when we get to leave the wedding day and say goodbye not just to two awesome people, but to two new friends. 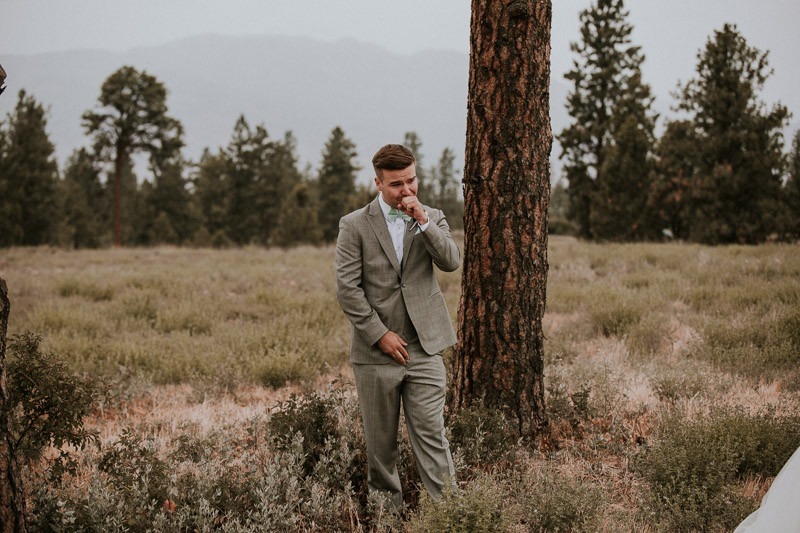 Make sure you check out their Knox Mountain Engagement Photos, and if you’re after a Free Engagement Session of your own, contact us today! 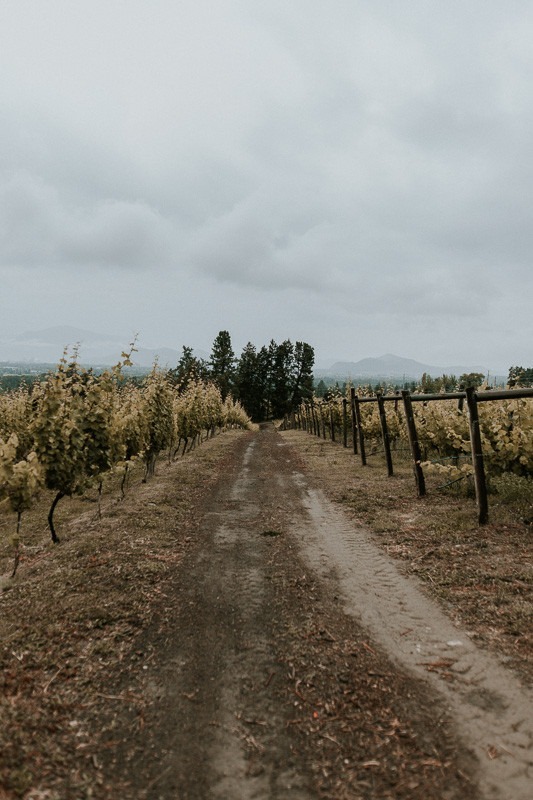 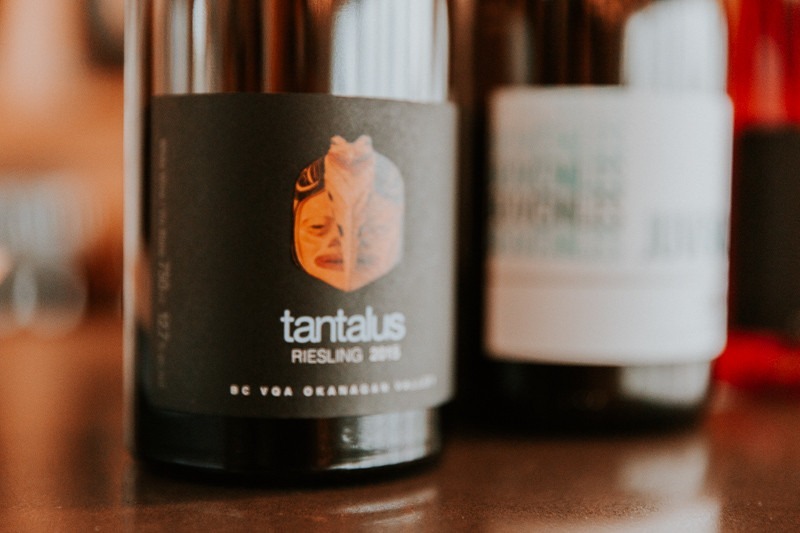 Tantalus Vineyards was founded on the belief that exceptional wines made from a single vineyard of outstanding pedigree would capture the imagination and palates of those seeking authenticity and a sense of place.